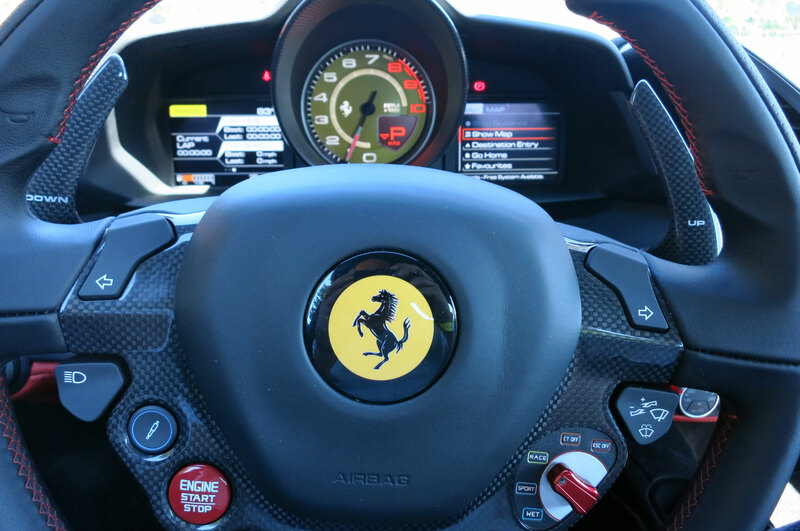 I grip the steering wheel a little tighter, my knuckles whitening. 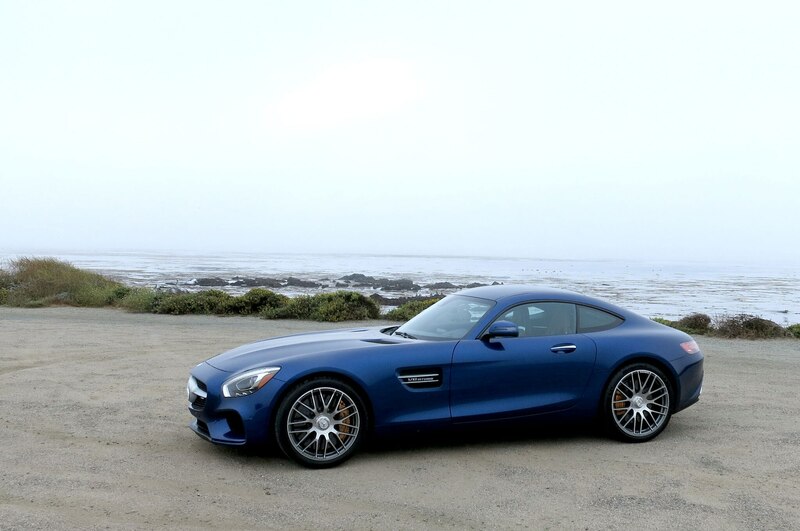 It’s just past dawn on the Monterey Peninsula, and the usual shroud of fog cloaks the coastline. 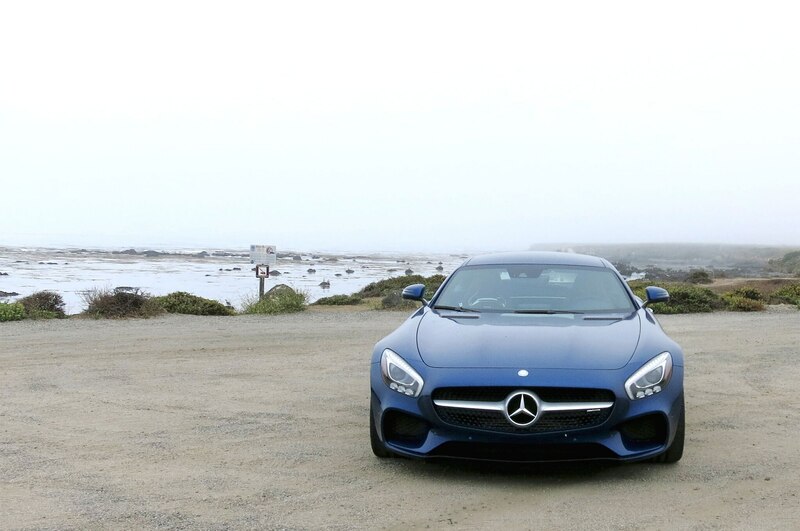 Out to my right the Pacific Ocean is down there somewhere. 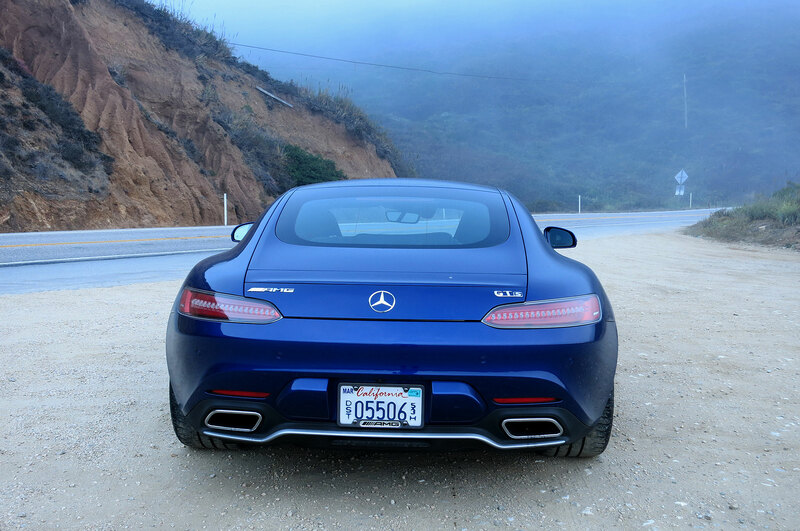 In front of me is one of America’s most storied stretches of road—California’s Highway 1. 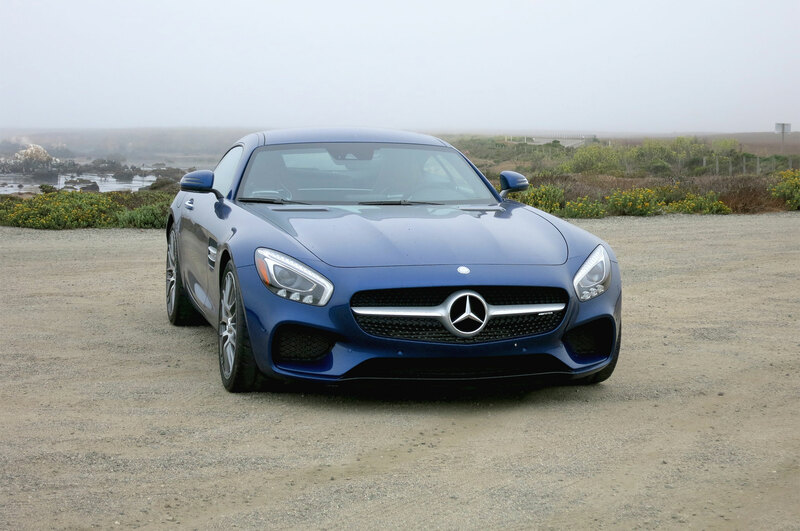 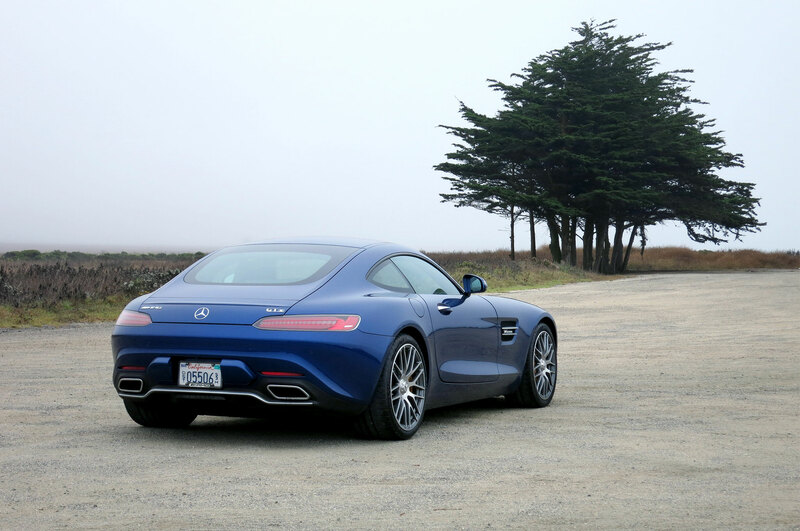 Pea-soup visibility is not going to stop me from attacking it in the mighty Mercedes-AMG GT S, but I’m on high alert. 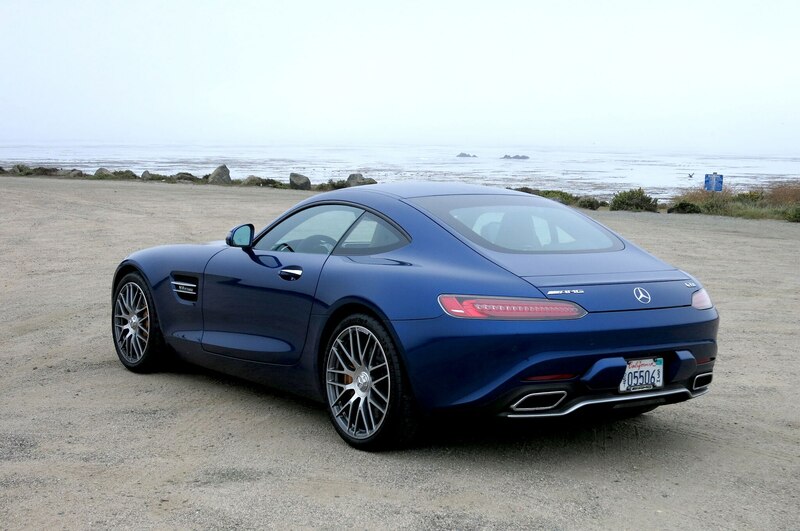 Thankfully traffic is extremely light, and I unleash the GT S on set after set of Highway 1’s squiggly ribbons of road; by now, I’ve been in Mercedes-AMG’s new beast for several hundred miles on the way up to and during the annual Pebble Beach car week festivities. 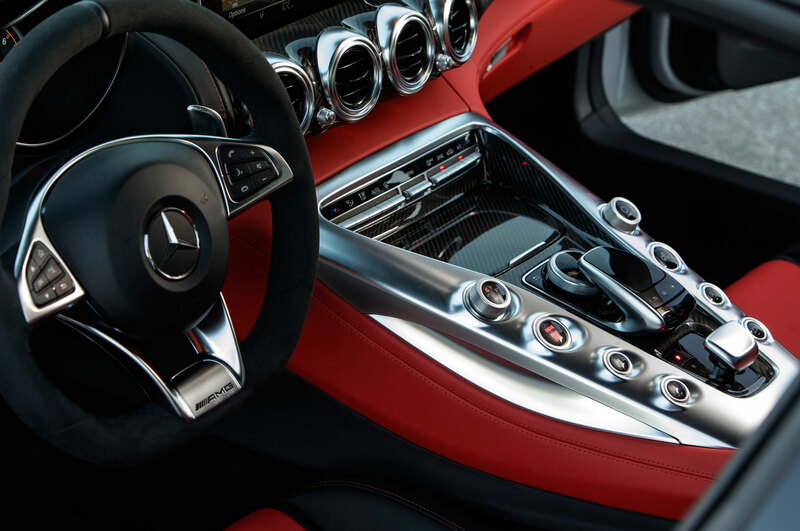 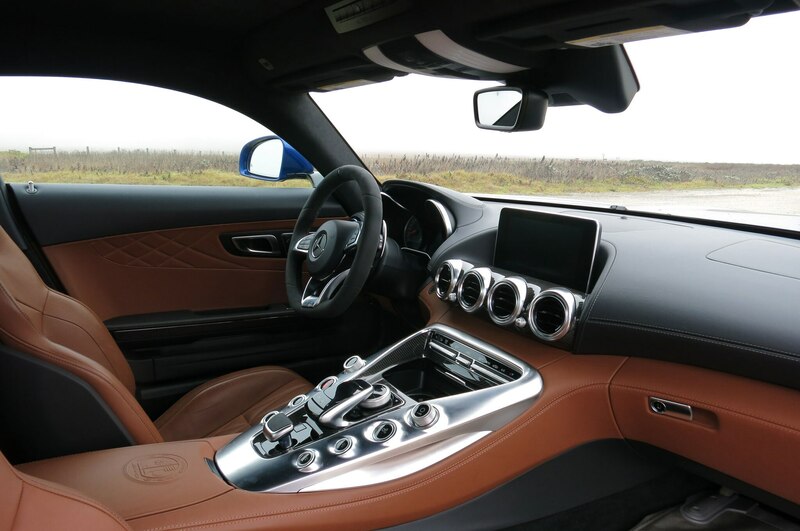 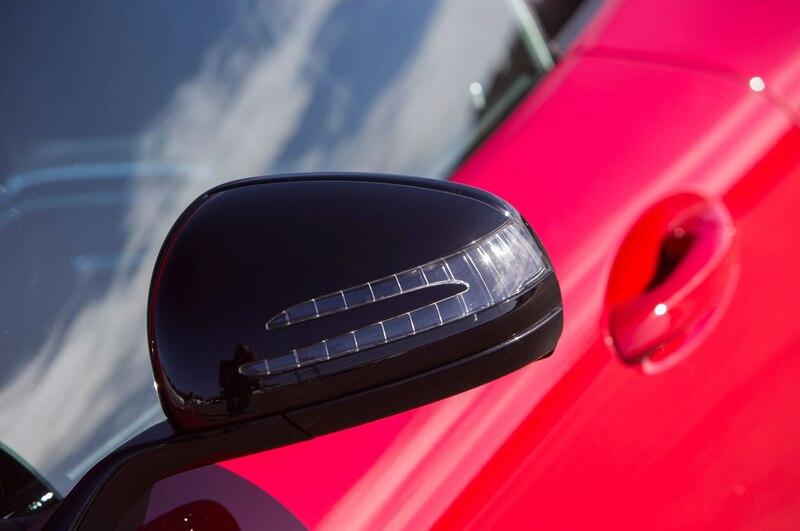 It has proven to be a super sports car you can cruise in happily all day, with its tight sport seats, a plethora of modern amenities, and looks that had the Pebble throngs gawking like it was Beetlejuice in a thong on a unicycle. 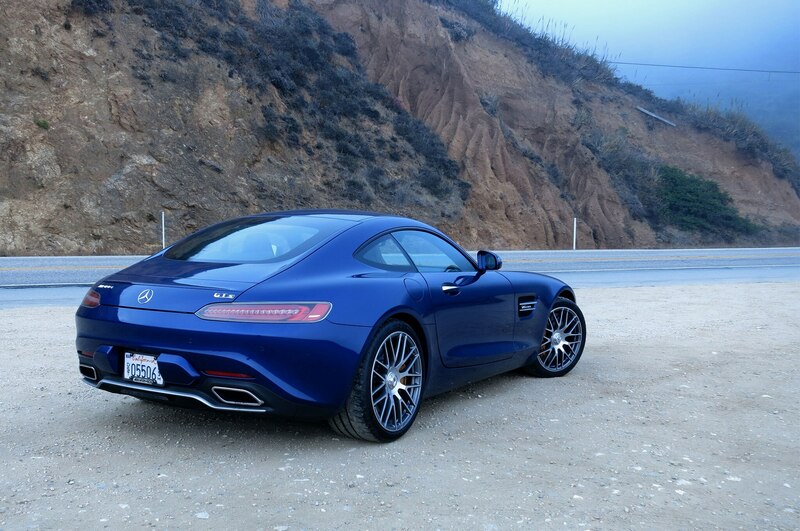 But this is the first time I’ve really been able to explore the car’s true character. 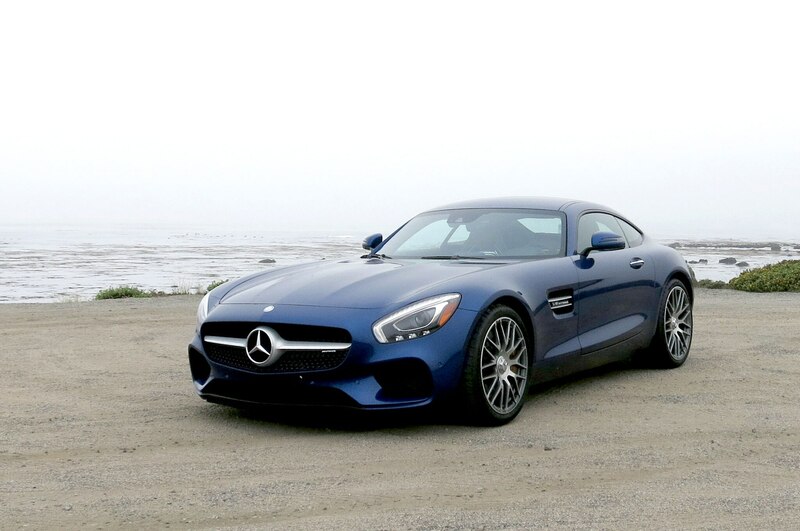 The baritone roar of the AMG-massaged, 4.0-liter twin-turbo V-8 cranking out 503 Affalterbach-tuned horses drowns out the crashing waves below as I floor it on a rare stretch of relatively straight road. 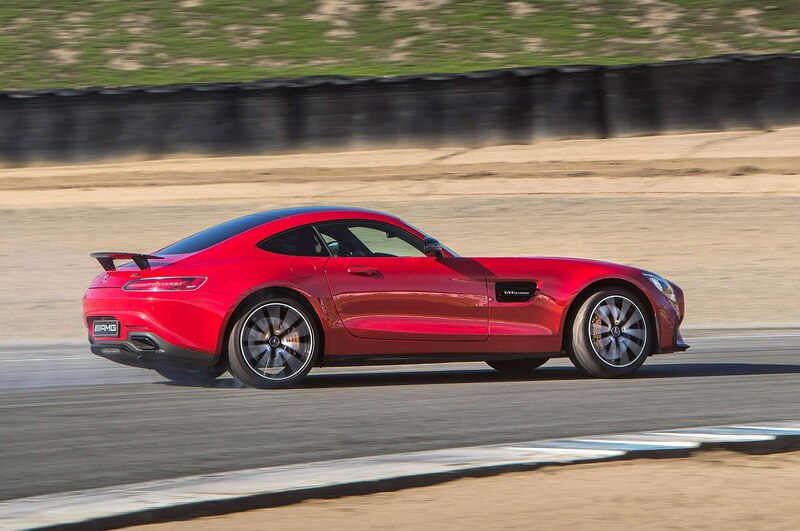 As the next set of bends approaches, I go hard yet again on the outstanding brakes and flip the downshift paddle. 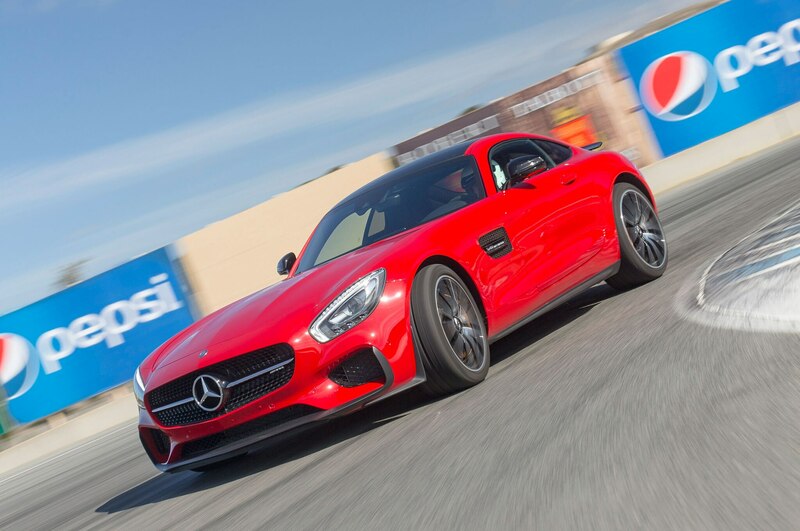 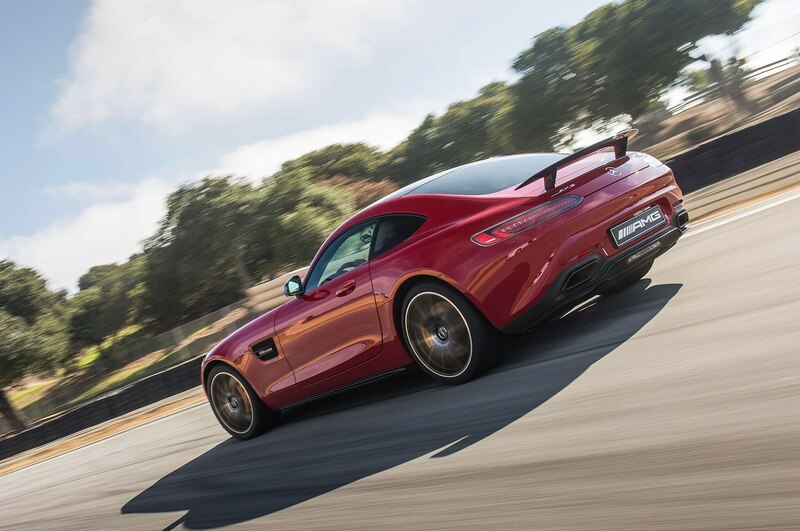 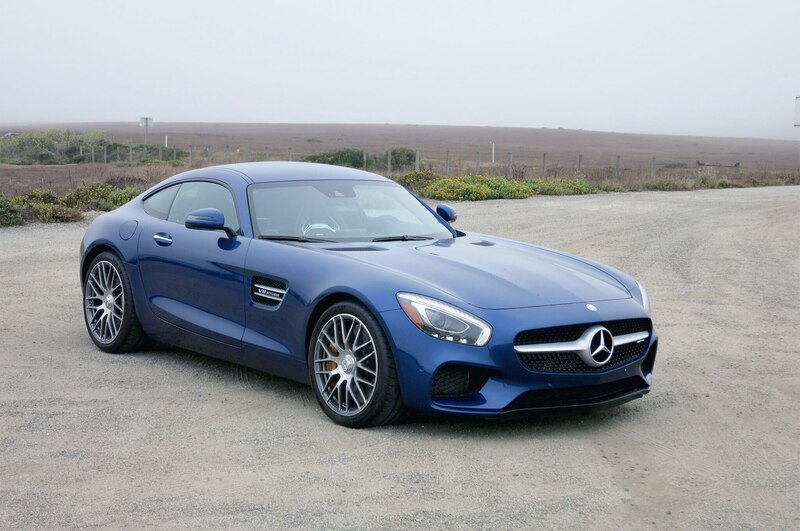 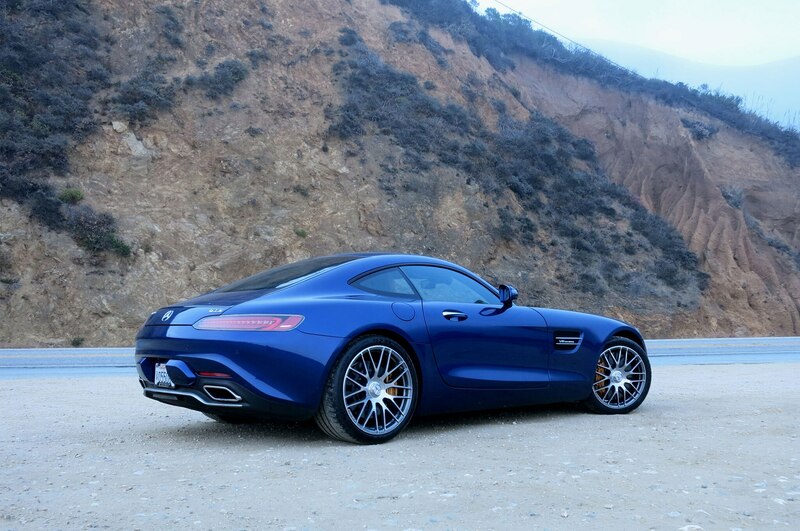 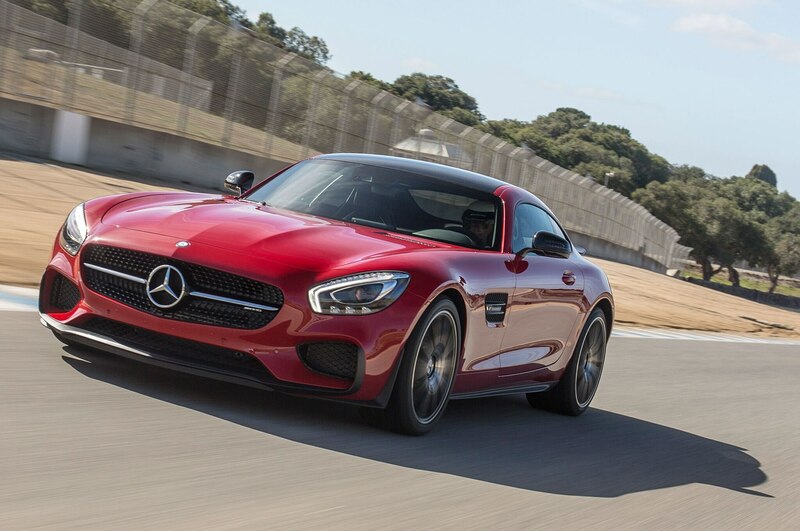 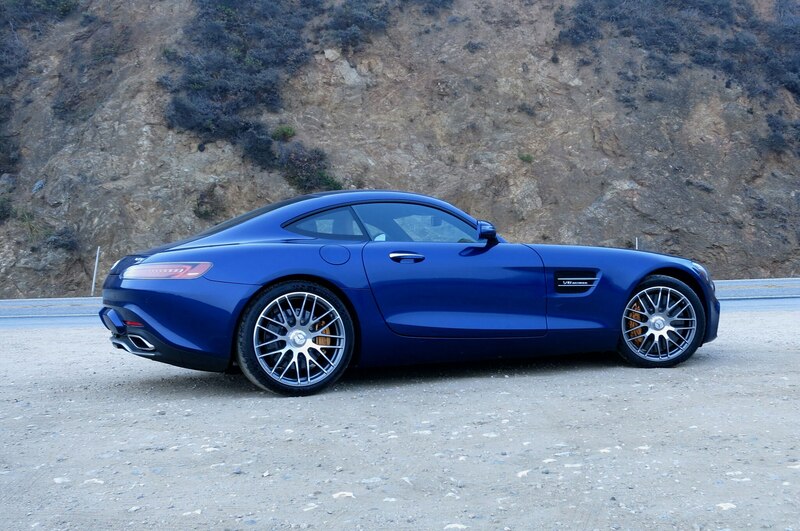 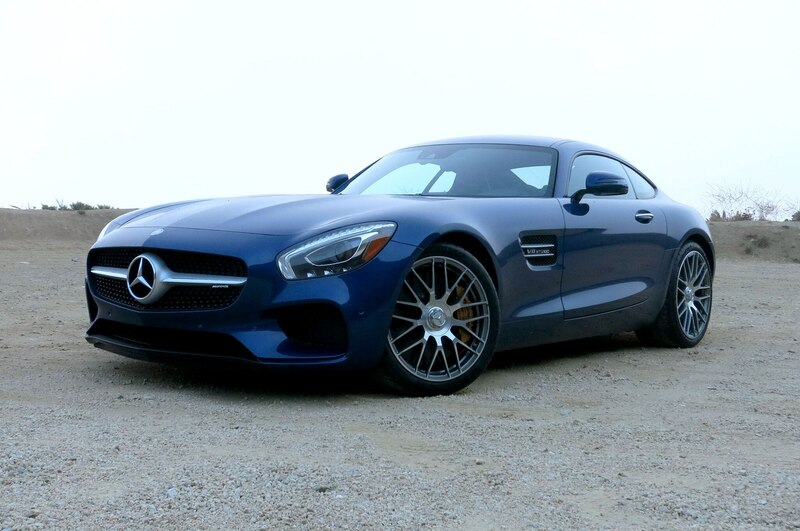 The Mercedes-AMG GT S feels a bit bulky in certain spots, but it otherwise proves more than a match for anything Highway 1 serves up. 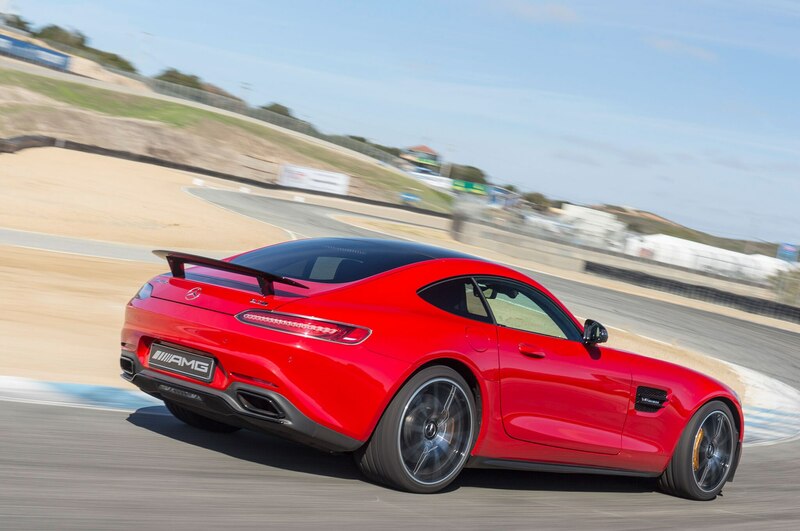 Along the entire glorious stretch, turbo lag never crosses my mind. 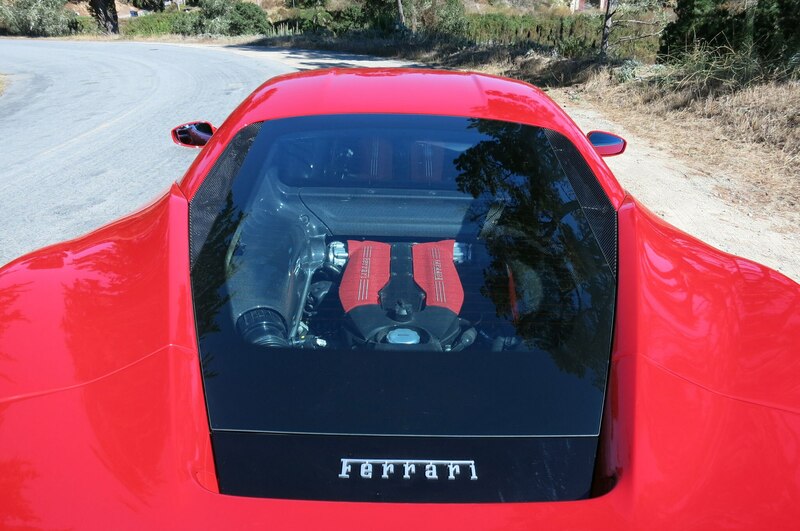 If I didn’t already know the engine was boosted, I probably wouldn’t notice it was. 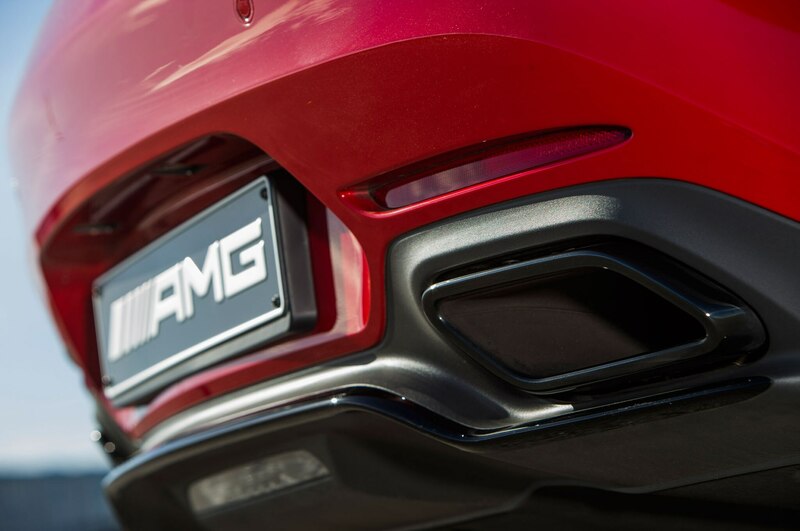 Power is immediate. 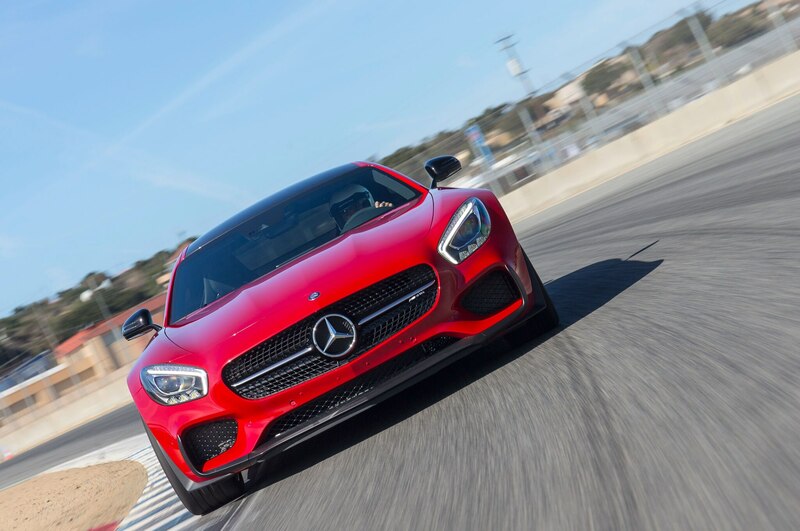 Torque is rated at 479 lb-ft, and it does nothing but help the GT S feel intense under hard acceleration (a happy by-product of turbo engines). 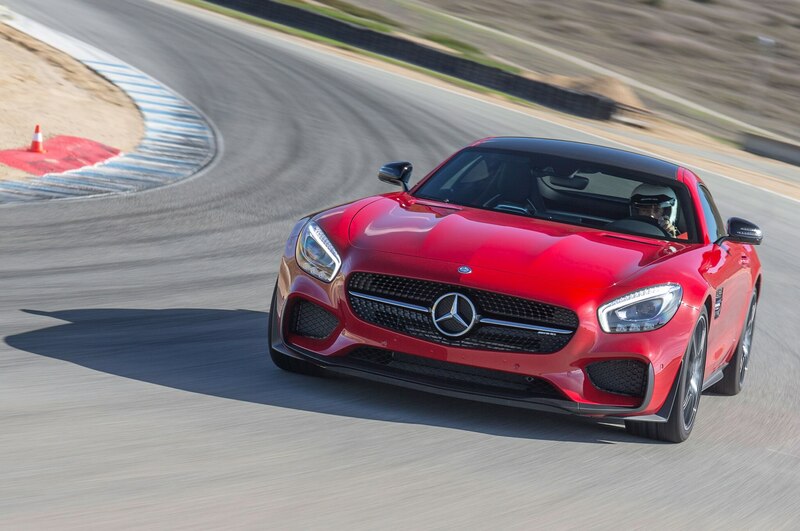 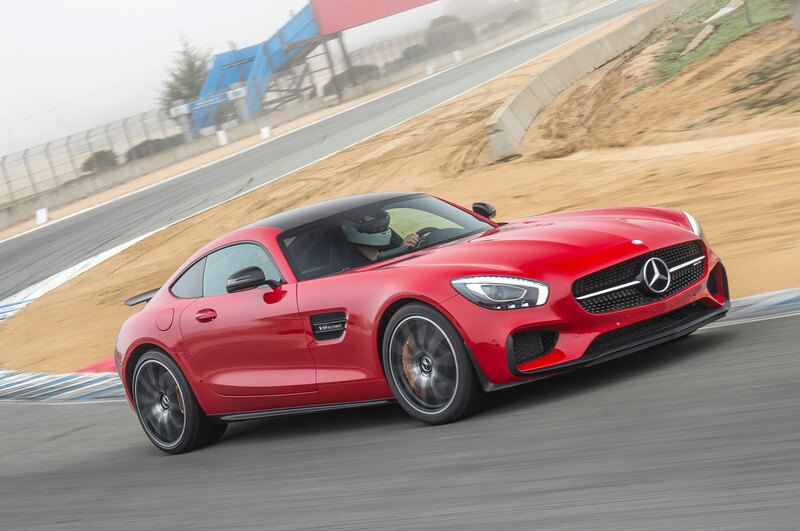 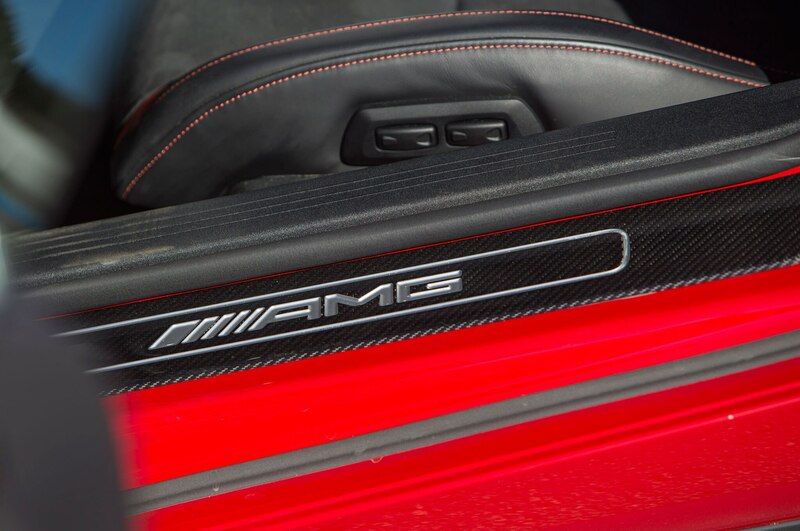 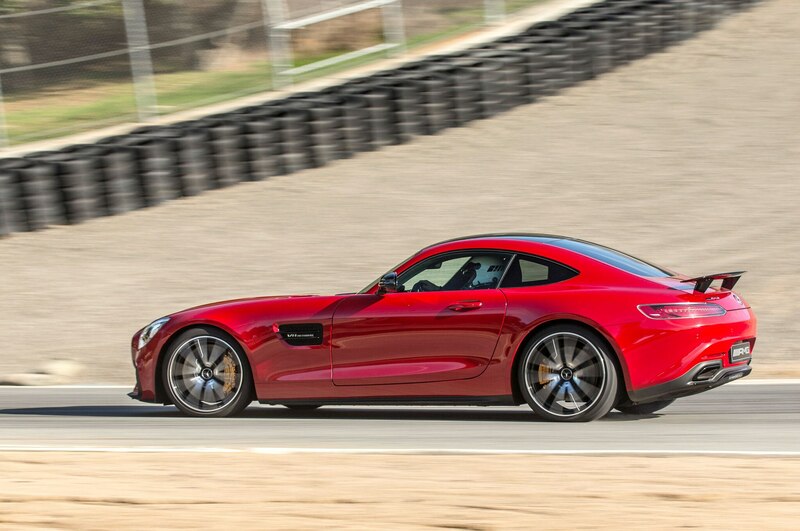 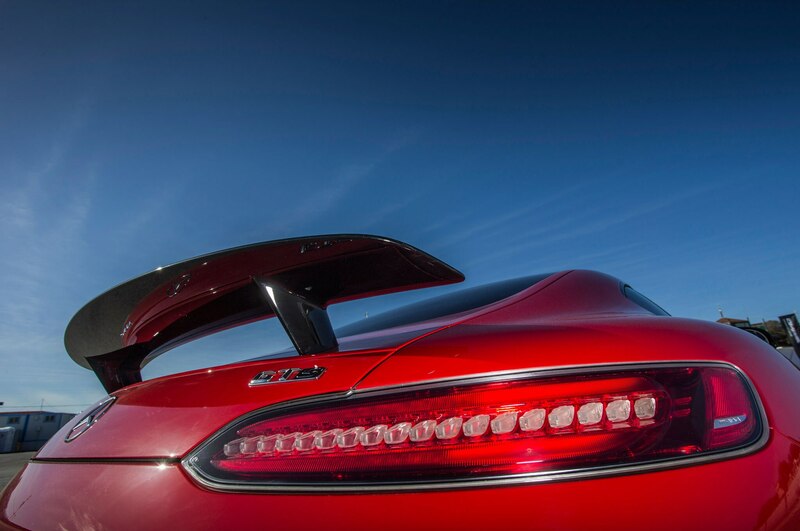 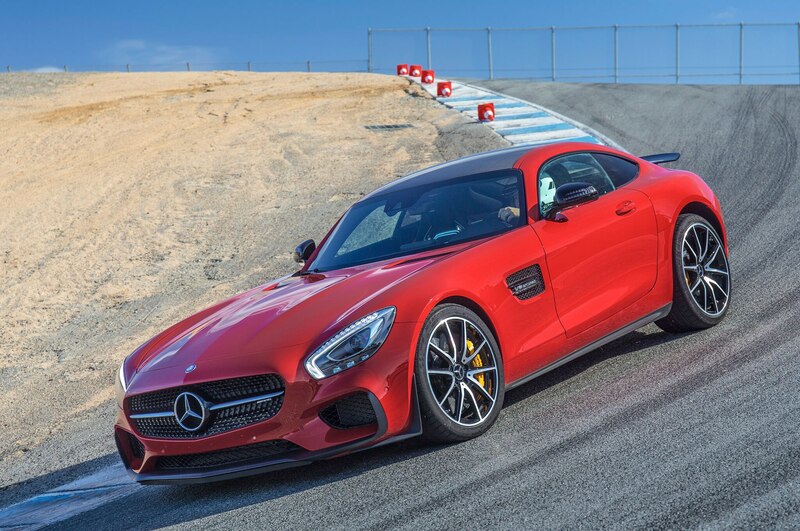 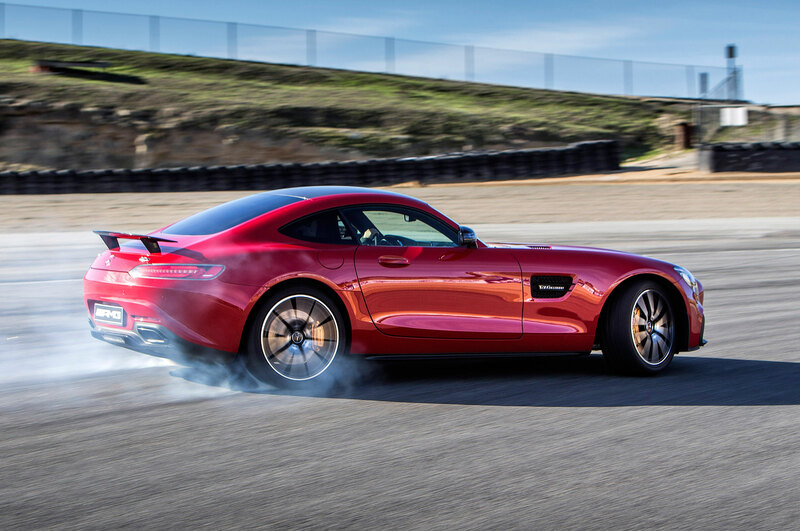 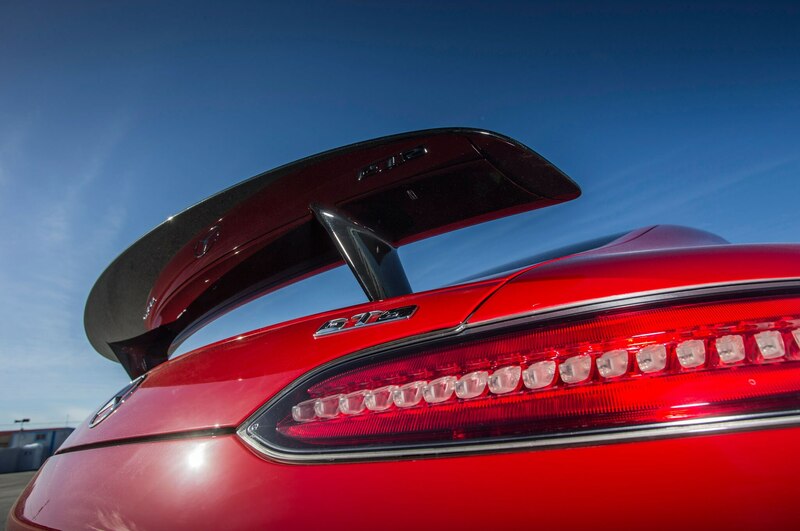 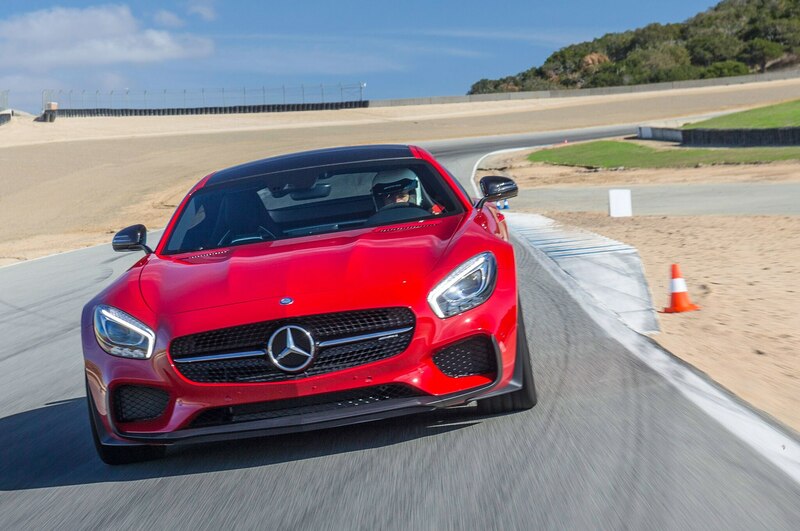 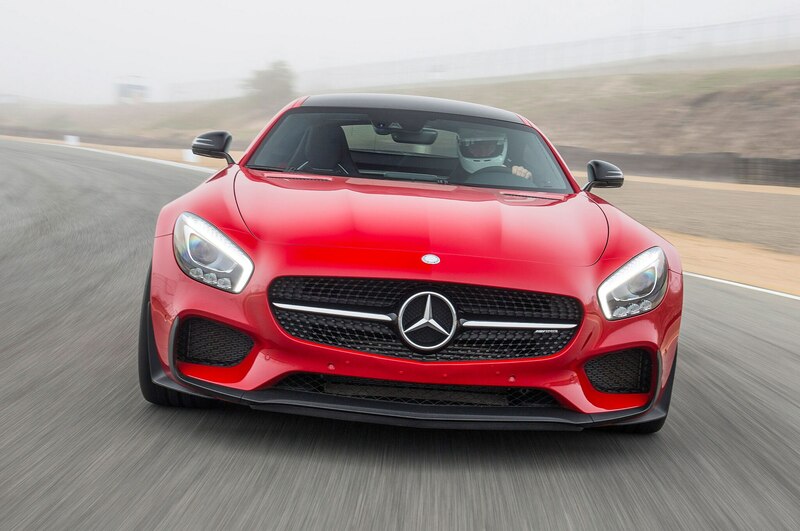 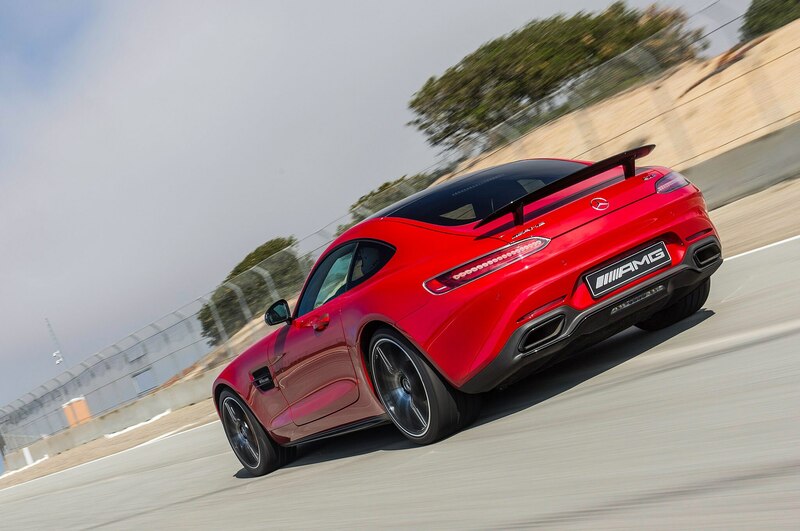 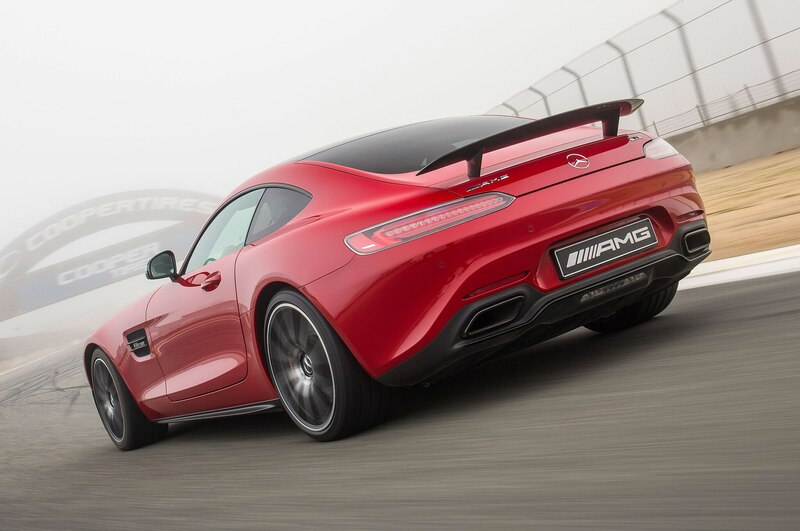 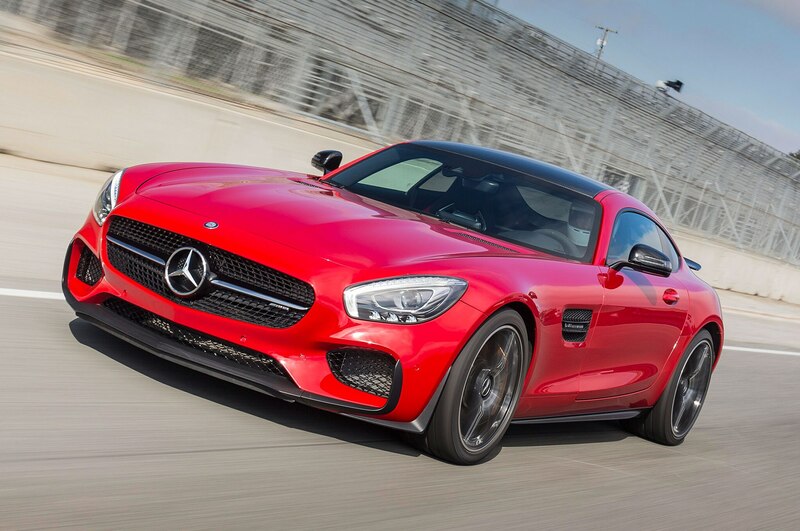 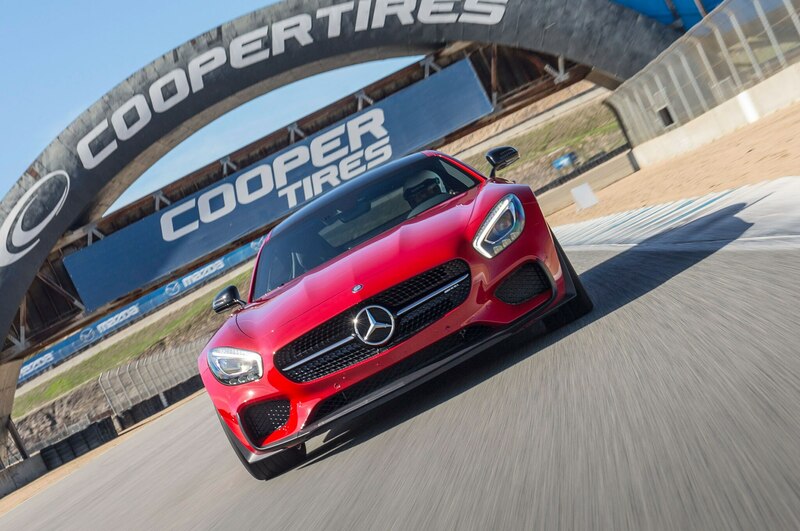 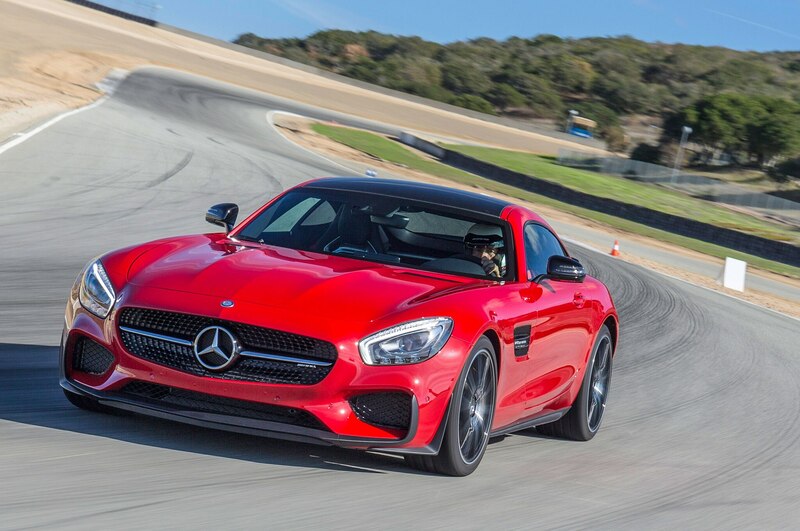 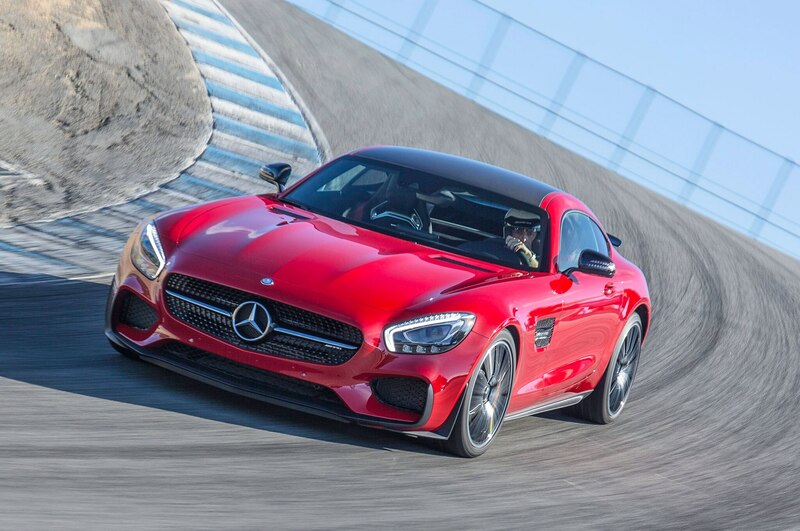 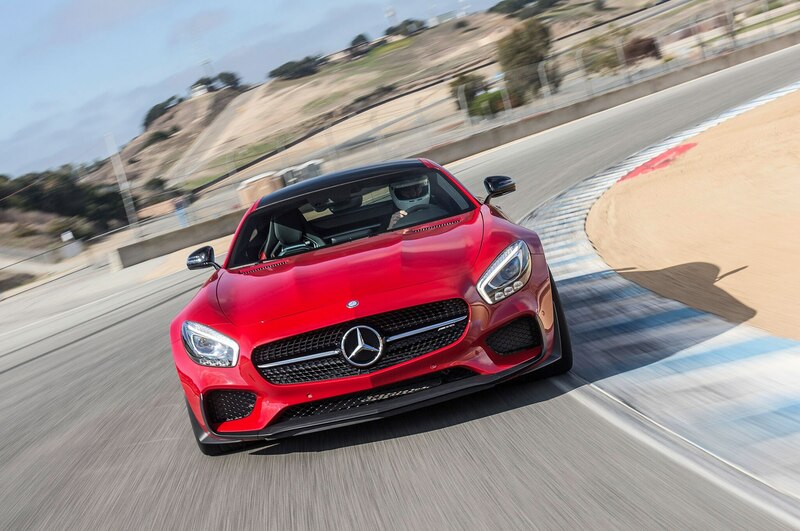 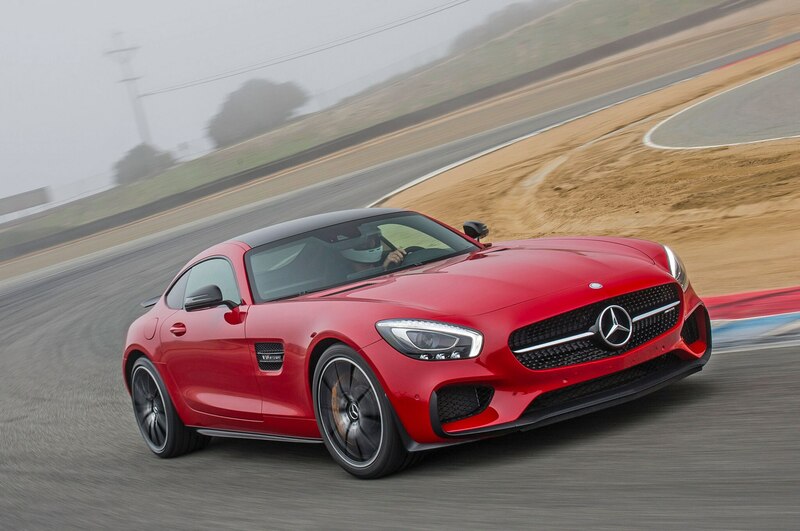 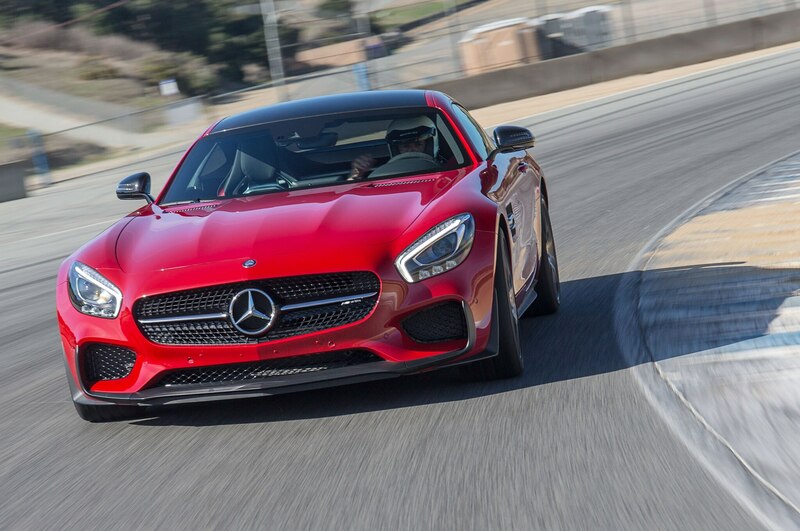 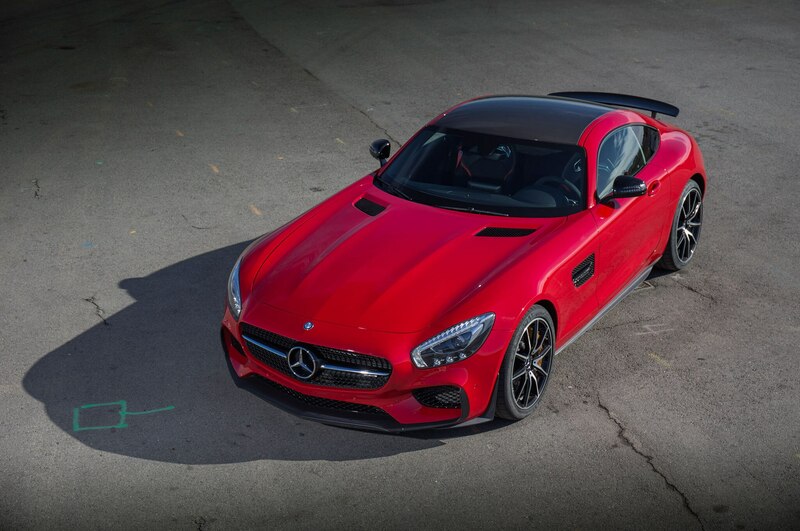 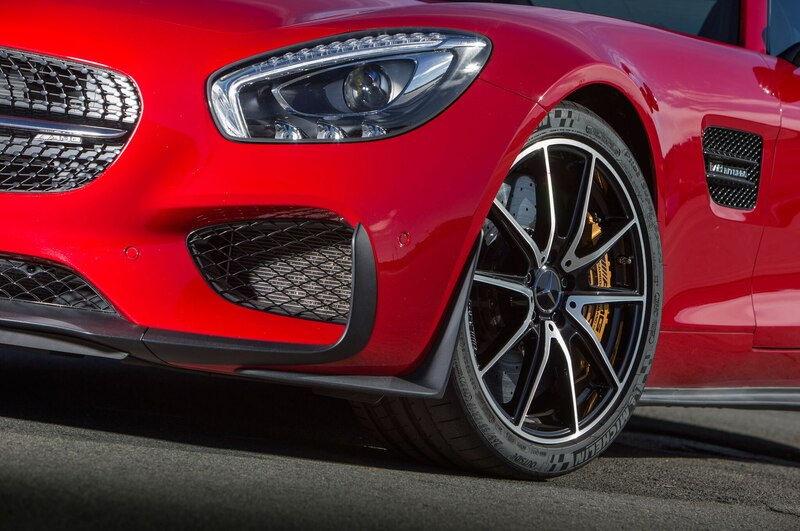 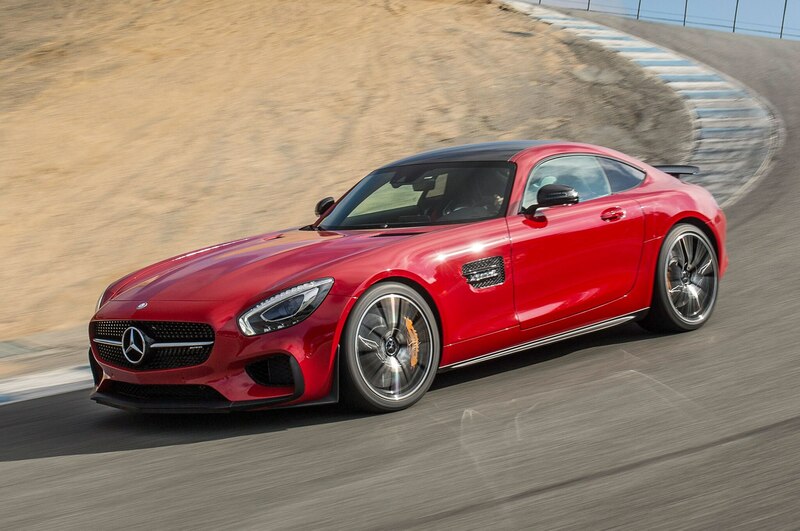 This is far from the first time Mercedes has deployed a turbocharged engine in one of its recent performance cars. 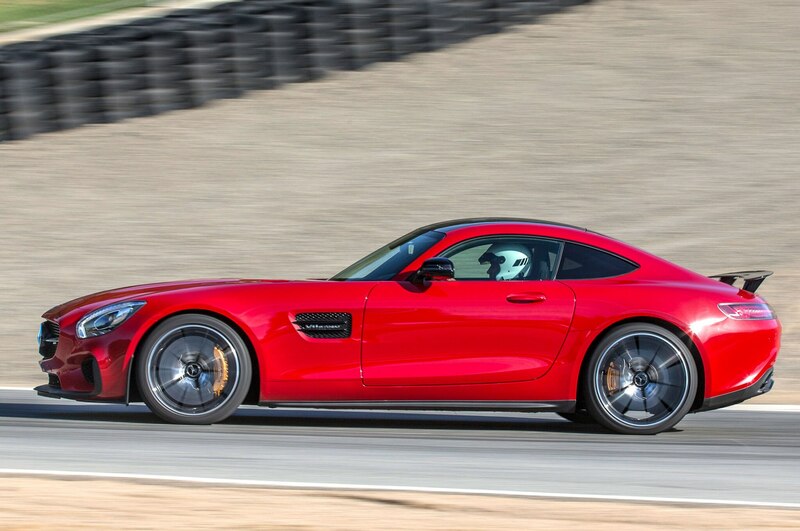 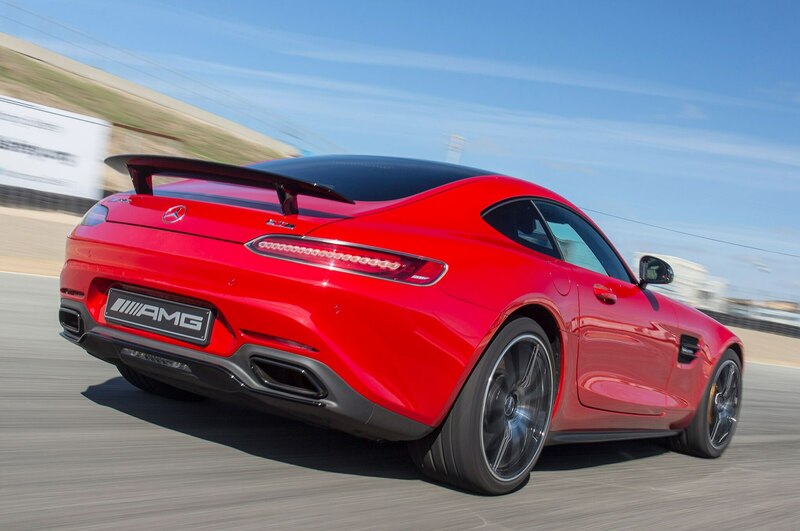 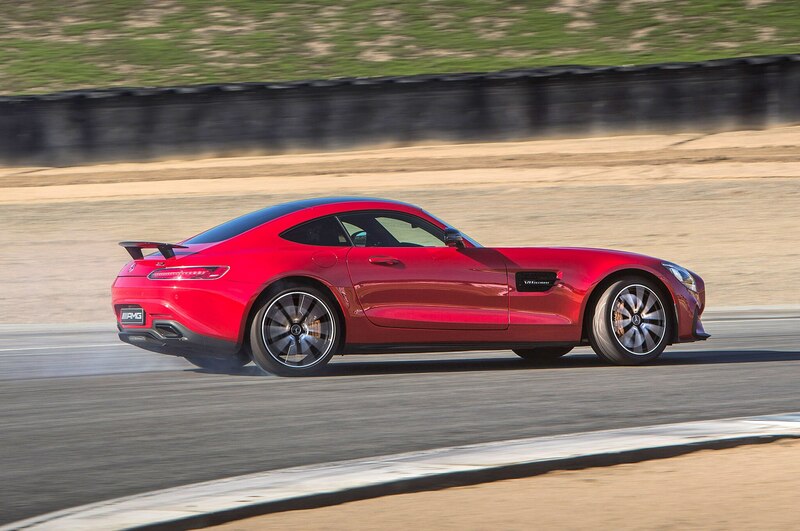 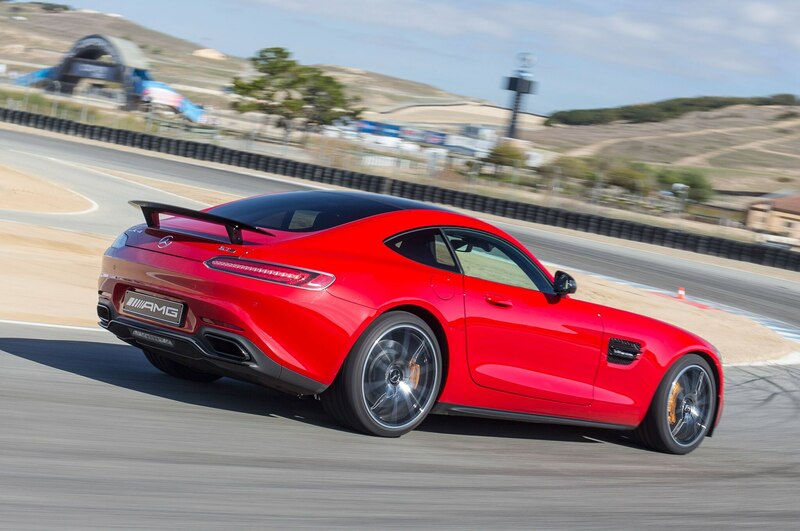 But it’s notable as the recently retired SLS AMG, upon which the GT S is loosely based, utilized the brand’s long-running naturally aspirated 6.2-liter (or 6.3 if you round up like Mercedes) V-8. 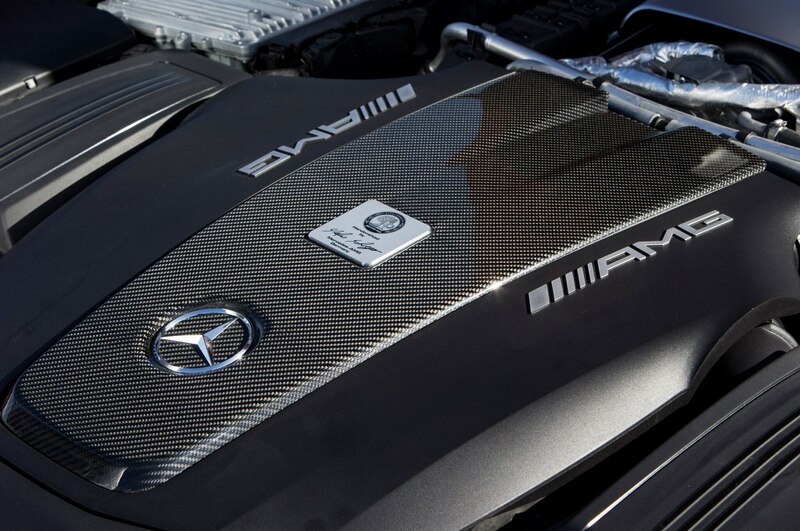 Dig up any cliché you want—end of an era, passing of the torch, CAFE all the way—that engine has been (one more) put out to pasture. 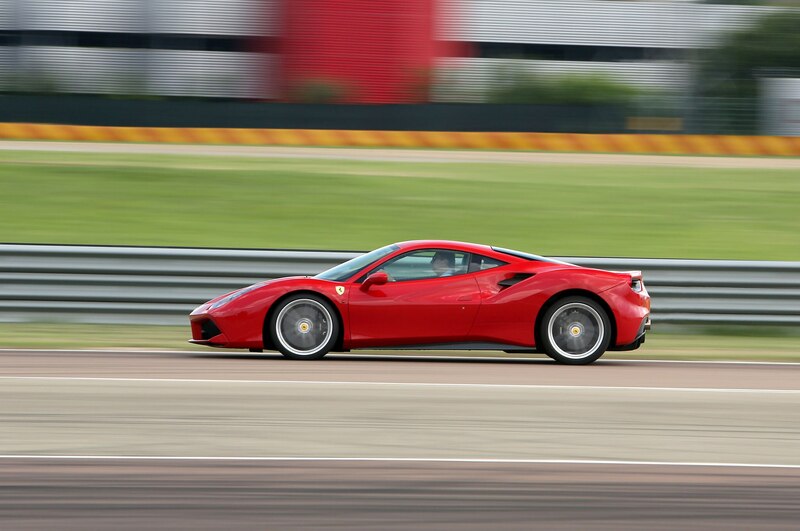 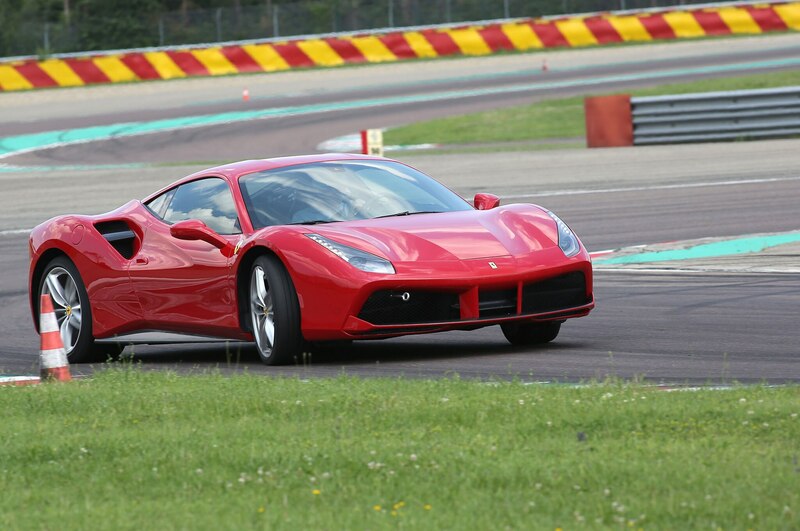 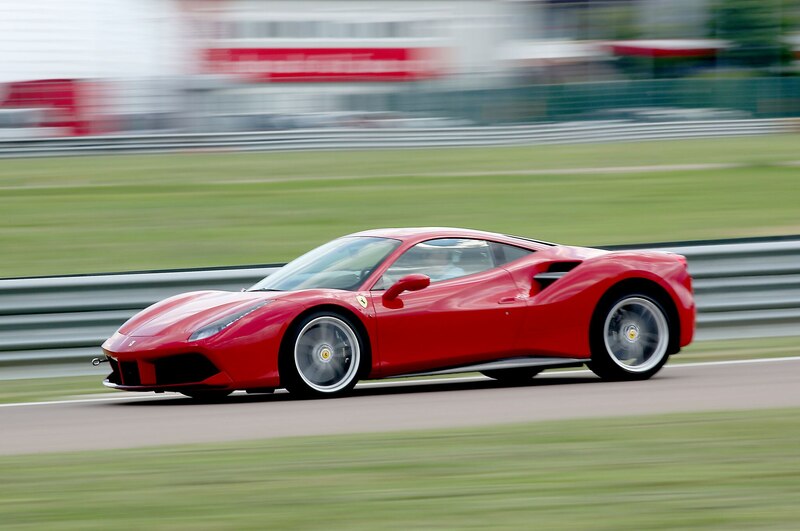 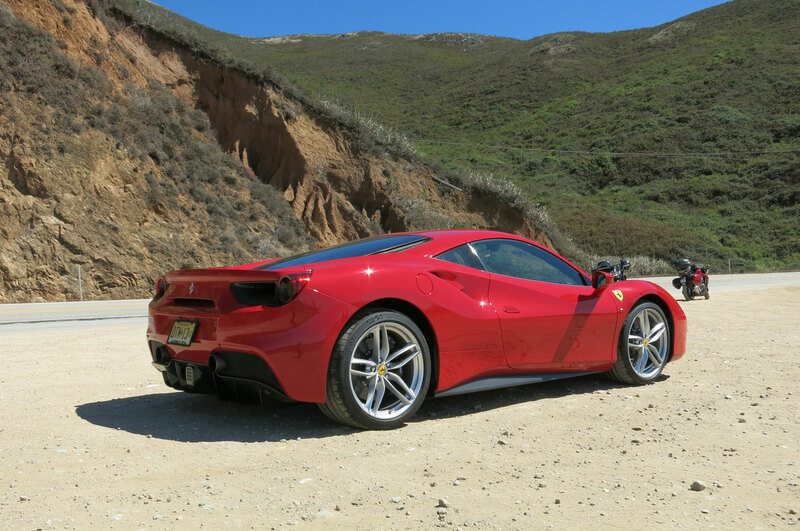 Like Mercedes’ old warhorse, Ferrari recently disposed of its venerable, free-breathing, high-revving 4.5-liter V-8 that powered the 458 Italia, arguably the greatest mid-engine supercar of the modern era. 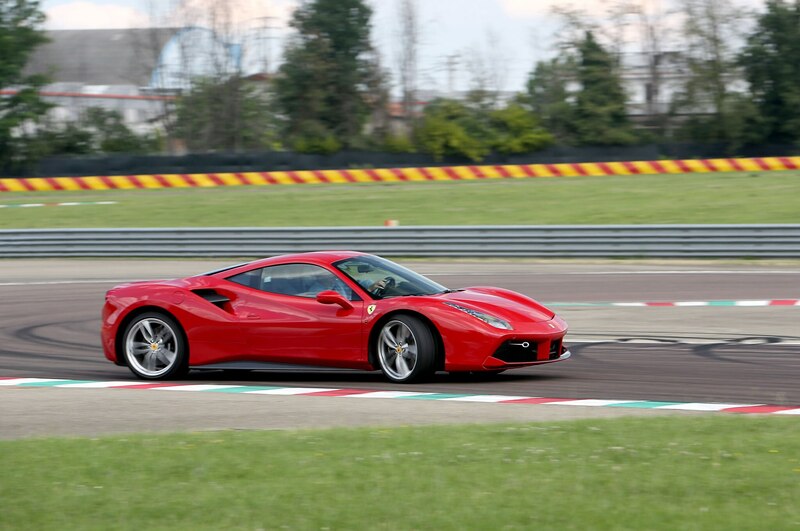 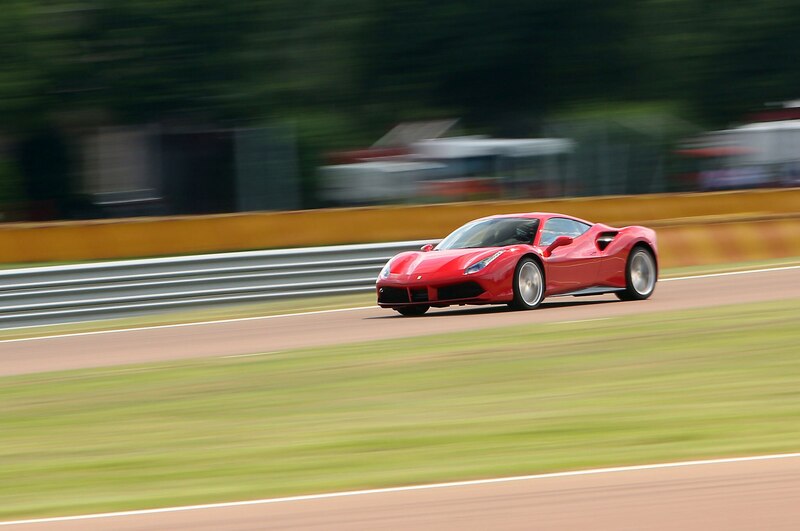 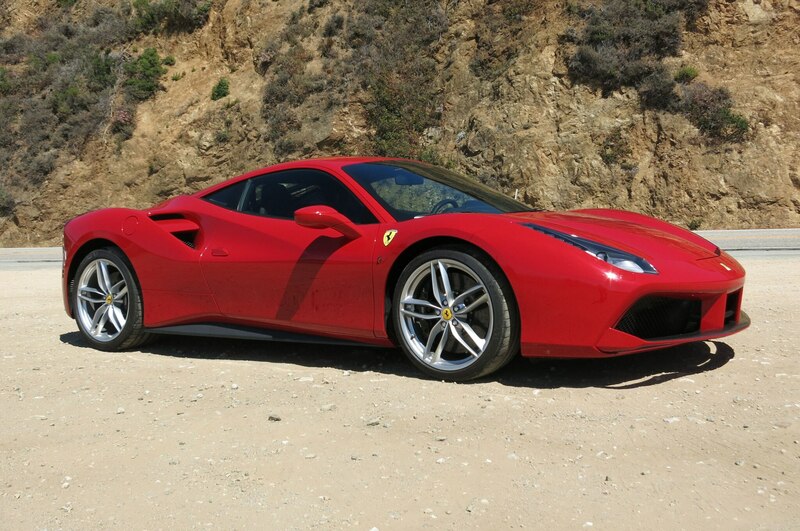 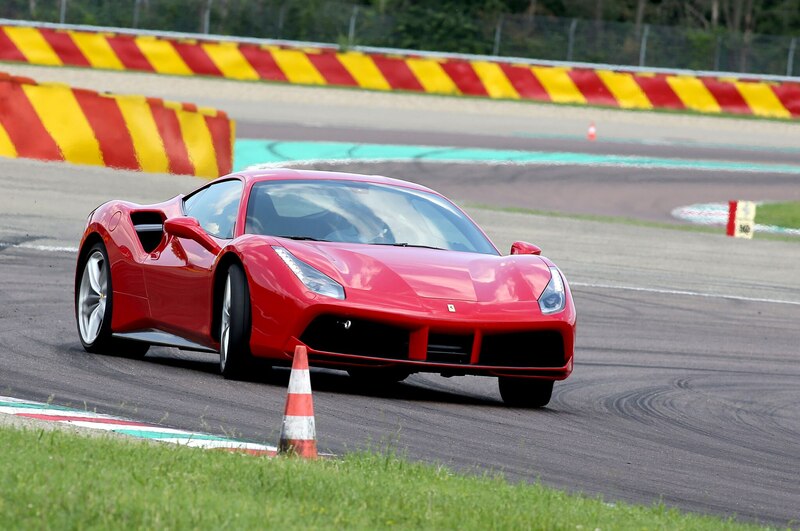 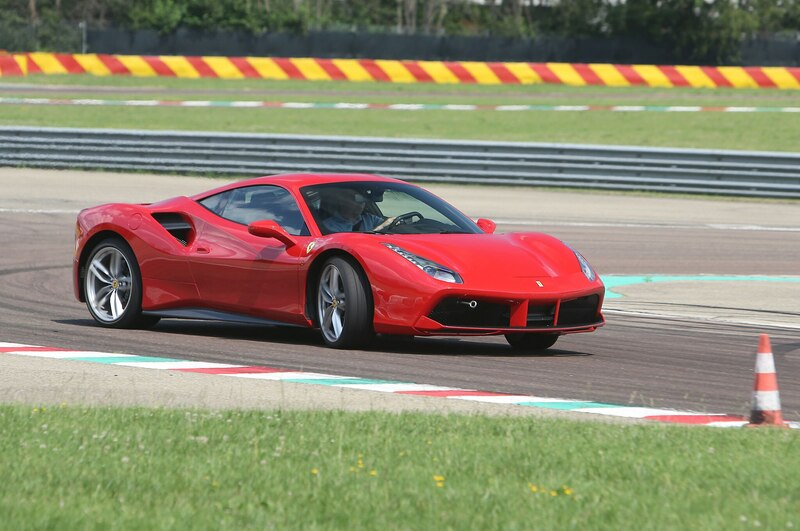 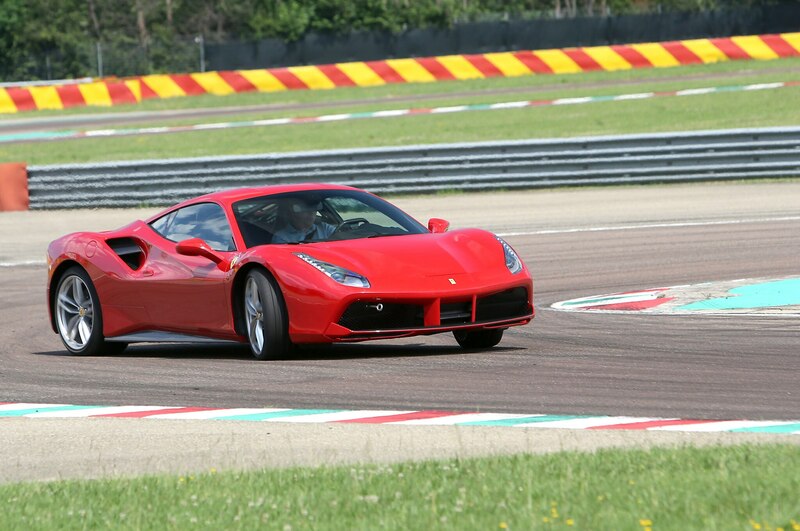 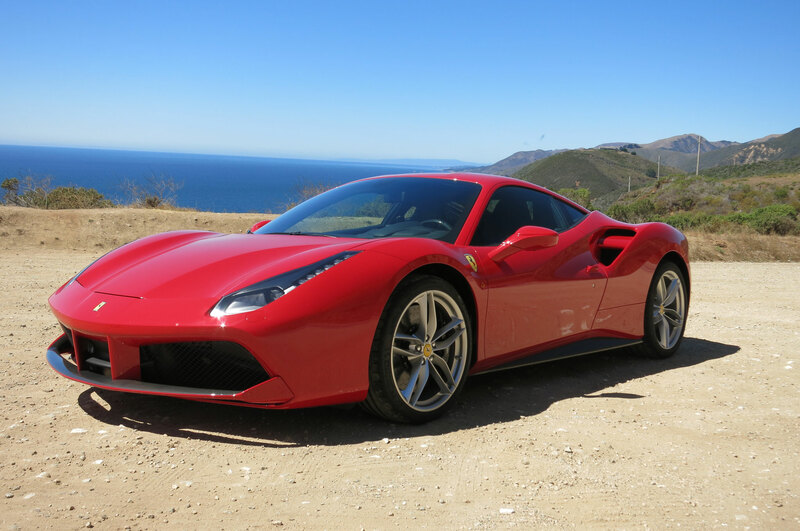 In its place is another twin-turbo V-8 mill that powers the new 488 GTB, the 458’s successor. 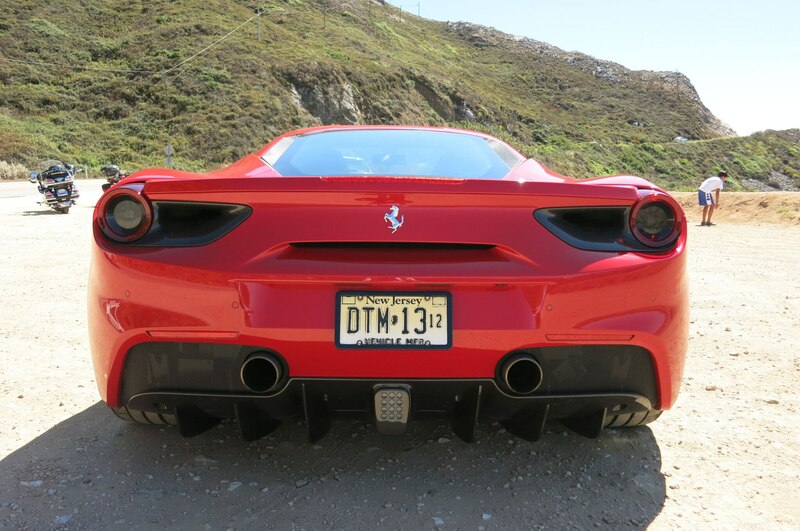 It’s smaller in displacement at 3.9 liters but posts much bigger numbers in both horsepower (661) and torque (561). 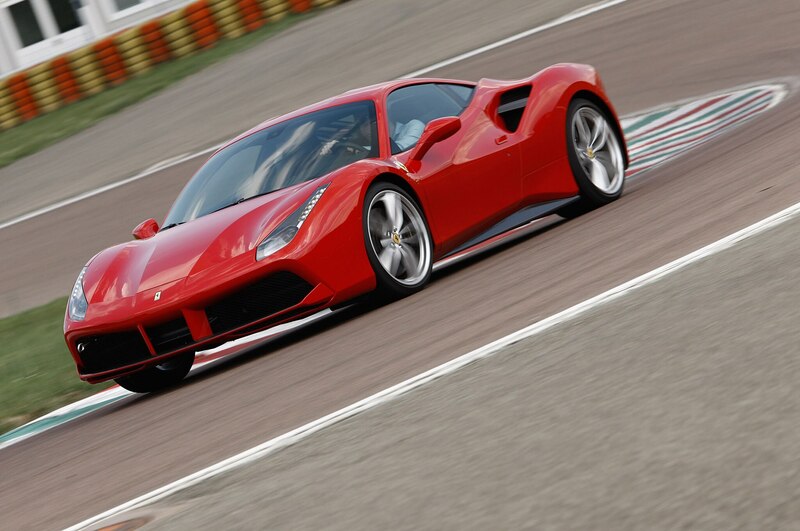 There was much whining that the wail of Maranello’s naturally aspirated, flat-plane crank V-8 was silenced; I attended a Ferrari press conference at the 2015 Geneva show earlier this year where no fewer than 362 questions bemoaning the retirement of the engine, all worded slightly differently, were lobbed at the beleaguered panel. 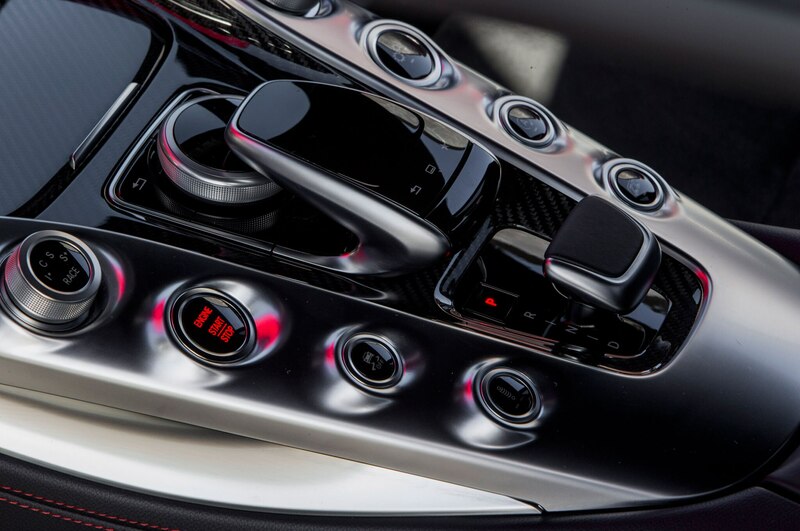 “But the sound? 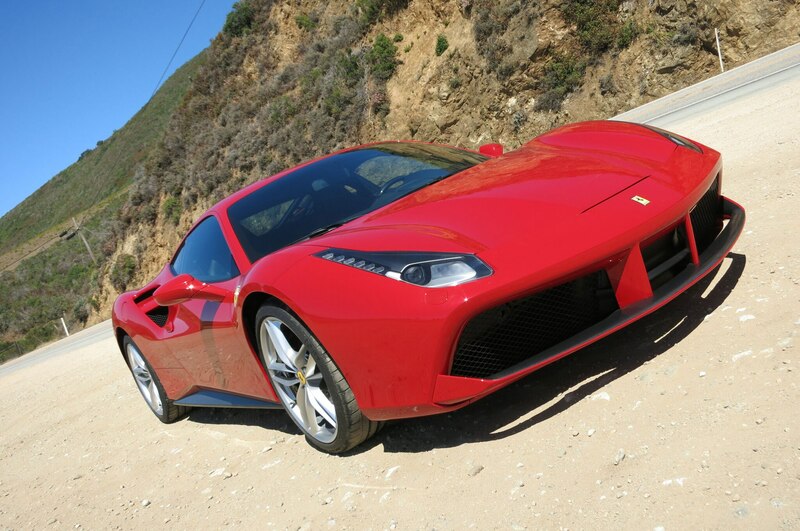 How could you?” It was akin to turning the late Luciano Pavarotti from a tenor into a soprano. 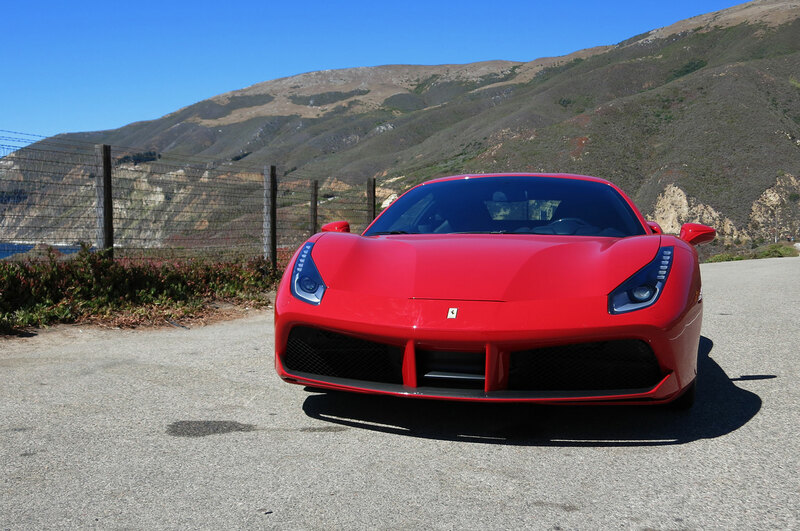 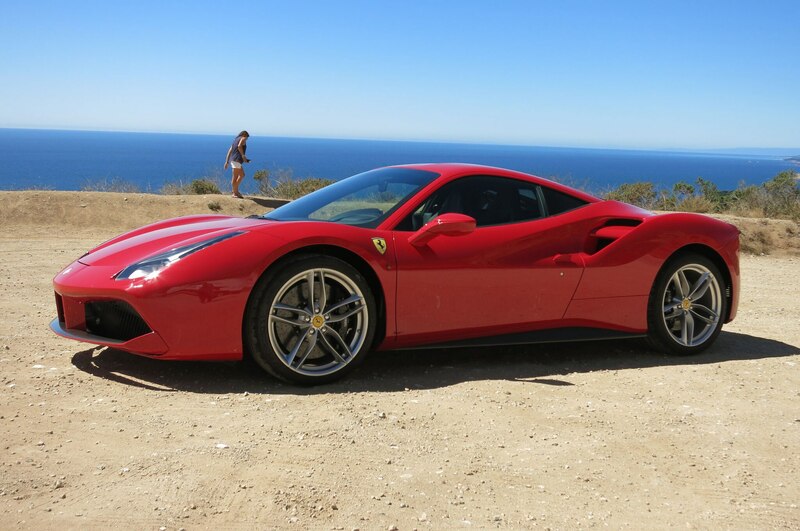 During Pebble, I also had an opportunity to experience the Ferrari 488 GTB for a couple of hours along Highway 1. 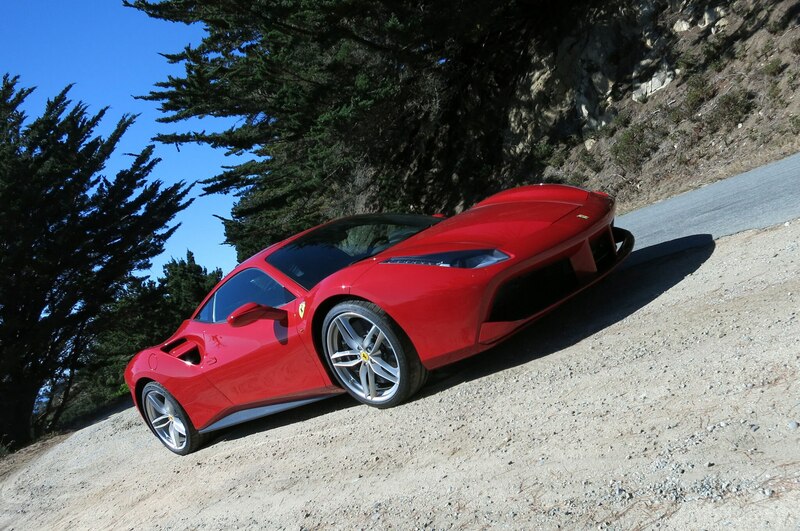 The sun was out and the area’s unrivaled beauty was on full display, but unlike my unmolested fun run in the GT S, traffic was thick with four-wheeled obstacles. 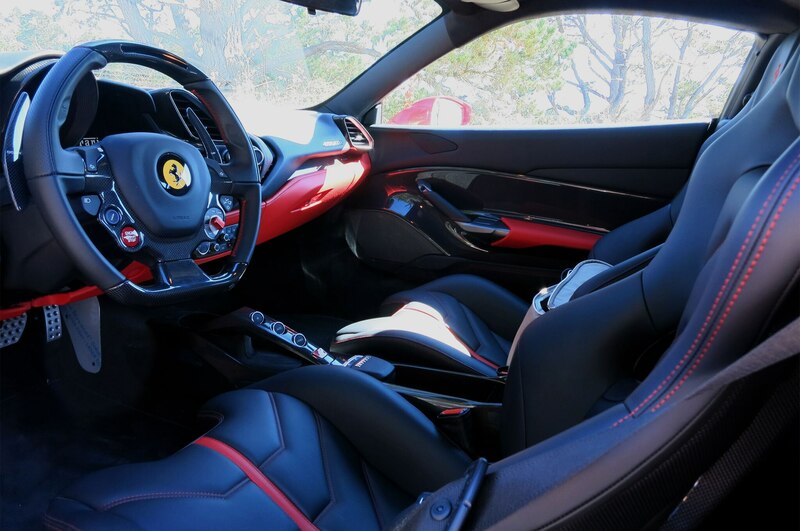 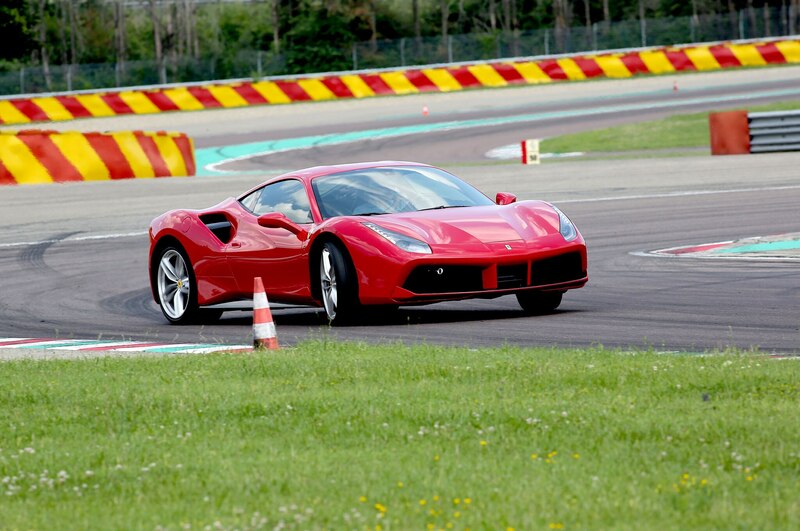 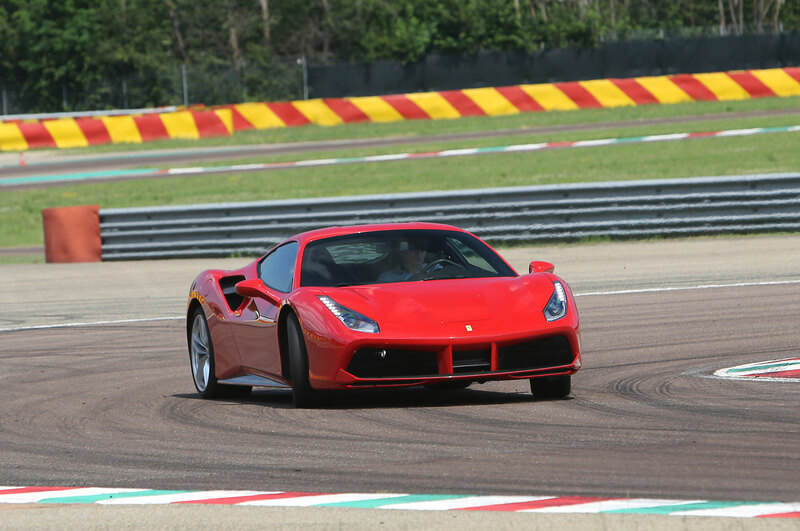 Not exactly the best way to get acquainted with the car, but when you’re handed the keys to a Ferrari, you figure out a way to enjoy yourself regardless. 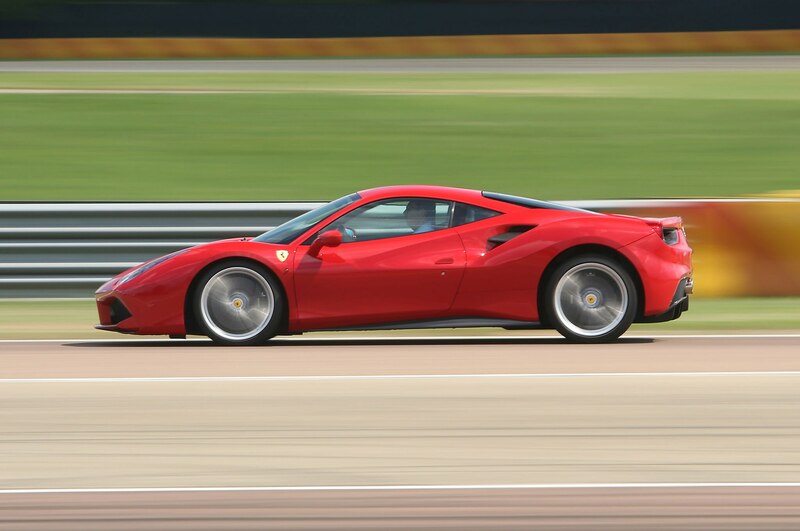 I crept along and waited for traffic to move ahead as far as I could, then launched like a bat out of Italy. 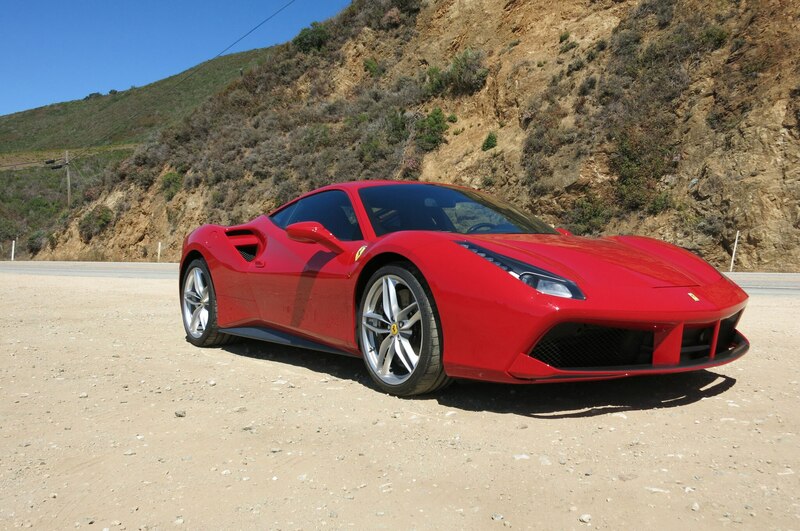 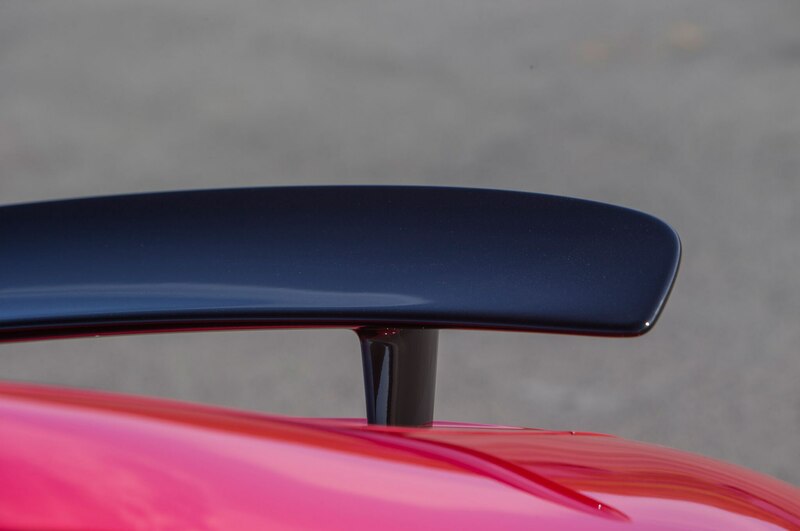 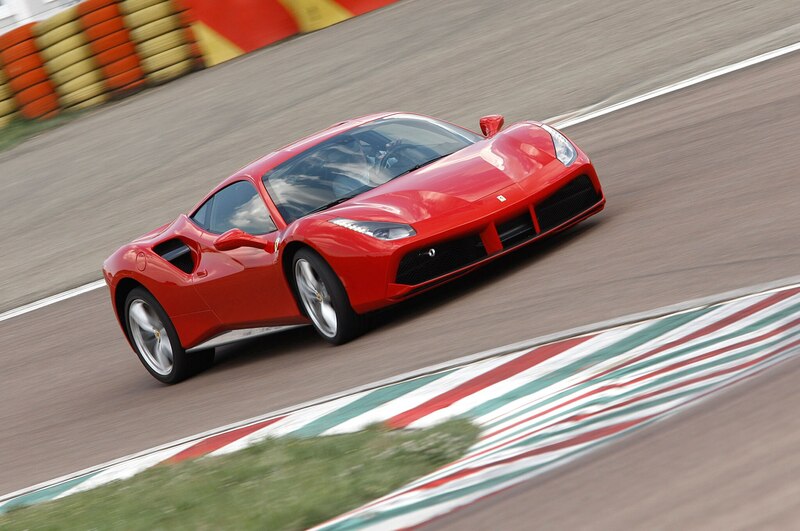 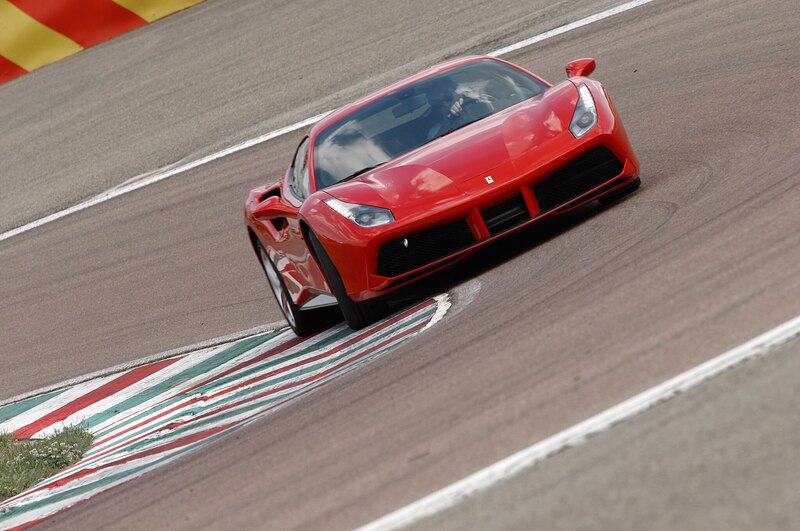 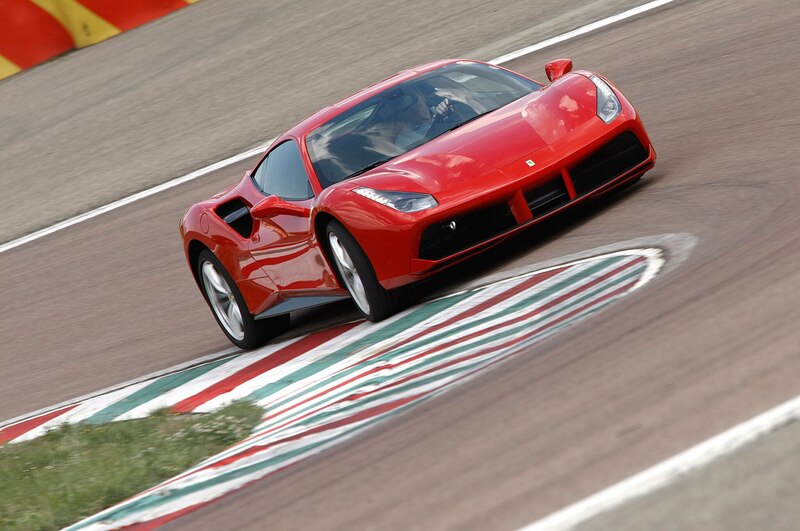 For sure, the death of what was Ferrari’s signature soundtrack is worthy of a 21-cylinder salute, but something tells me 488 owners are going to miss it for about as long as it takes to get to 120 mph (8.3 seconds). 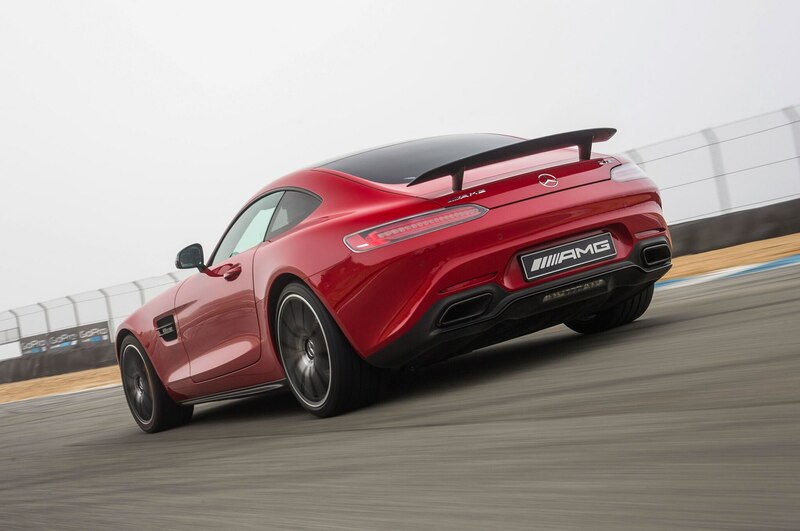 The new engine note has more than enough swagger, with just a hint of turbo wastegate whoosh to finish it off. 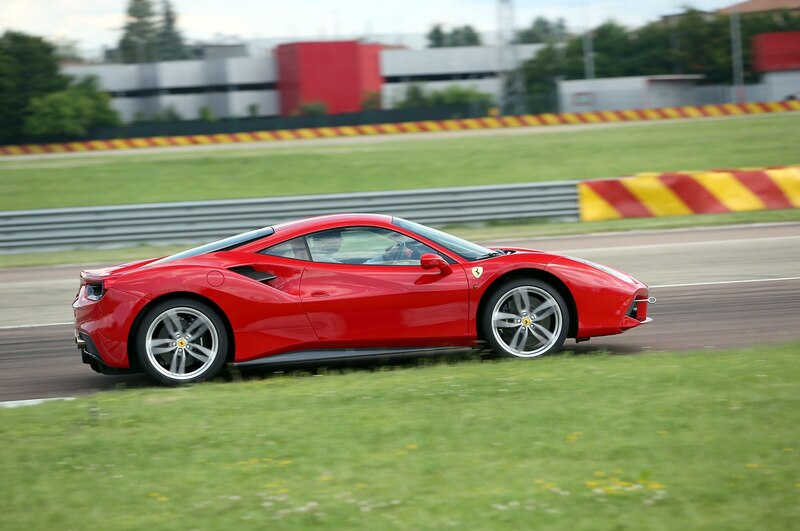 I attended another Ferrari press event at the recent 2015 Frankfurt auto show and asked about customer reaction to the 488’s powerplant. 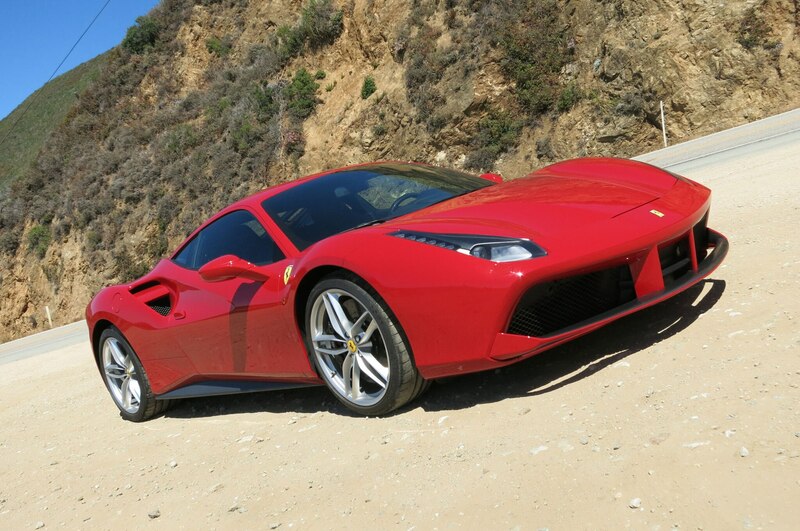 Turns out it’s a twin-turbo dose of good news: Existing Ferrari owners have been wowed, and the marque has attracted new customers intrigued by the engine. 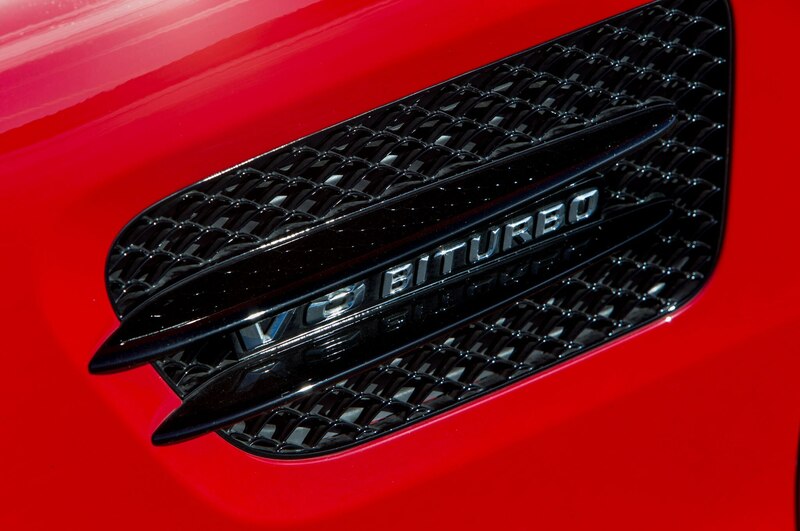 So although the song has changed, power and torque are up, as is efficiency, and as we move inexorably toward emissions Armageddon, to me that’s about the best we can hope for in the foreseeable future.